Humans don’t deal with change very well; for better, or for worse – the change is difficult in and of itself. After soaking up 10 days of Hawaii’s tranquillity and unspoilt beauty (our legs perhaps holding a second opinion) on the islands of Kauai and Big Island, landing in Honolulu’s hustle and bustle was an unkind lassoing back to a cacophony of lights, sounds, and people in a concrete jungle. 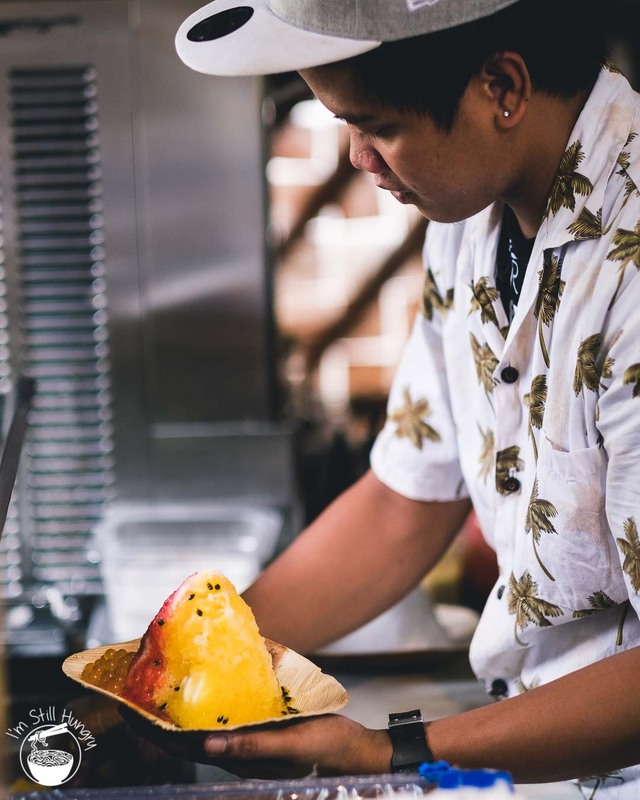 To most tourists, Honolulu is bread and butter – a whole trip can start and end here, with everything in between. 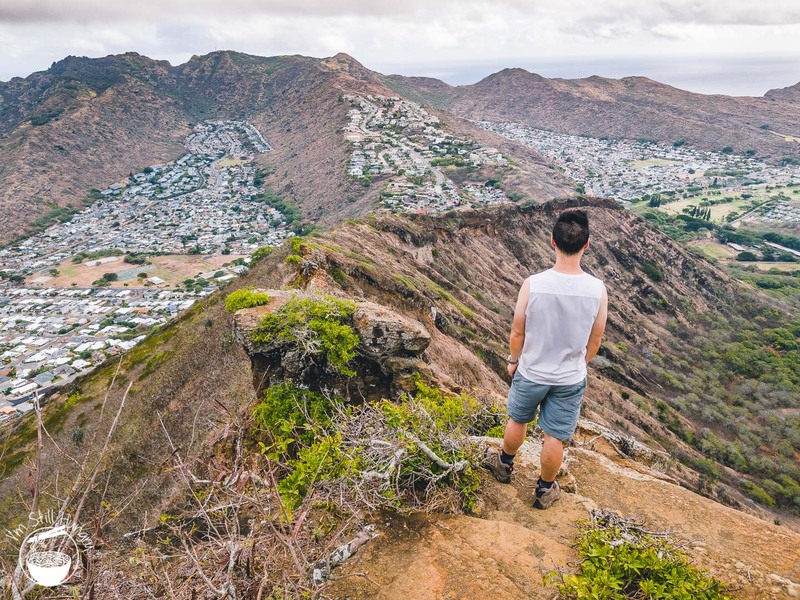 But the traveller in me wasn’t quite ready to get back to the city life just yet – Oahu is so much more than just its capital city! 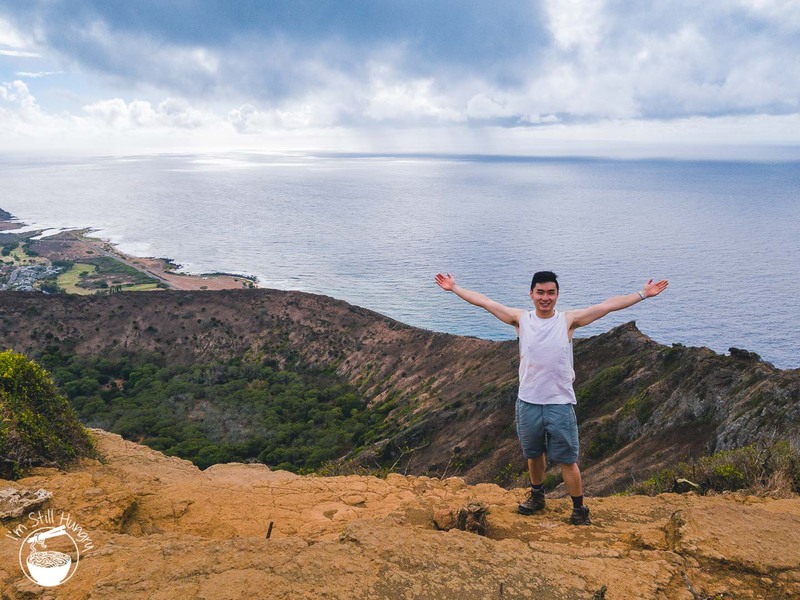 This is part 3 of a 3-part series on my trip to Hawaii. 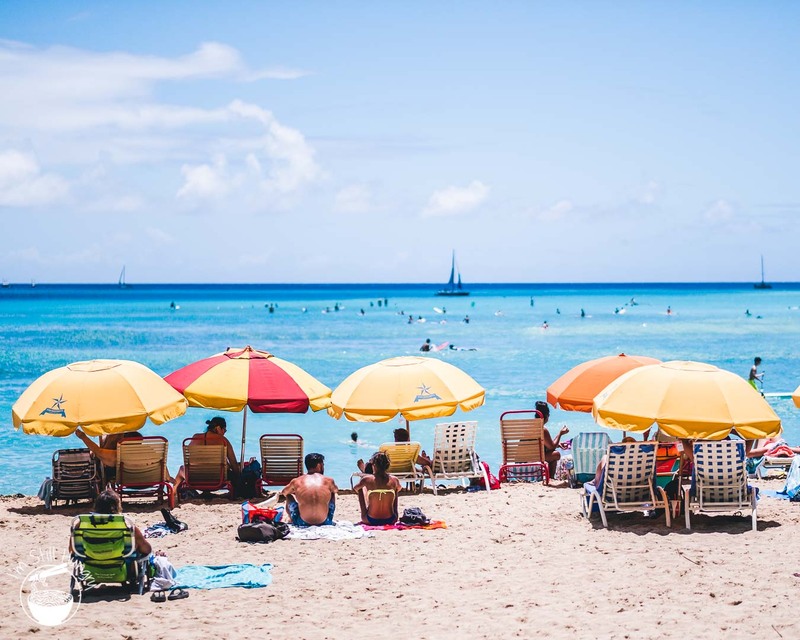 This post focuses on Oahu. 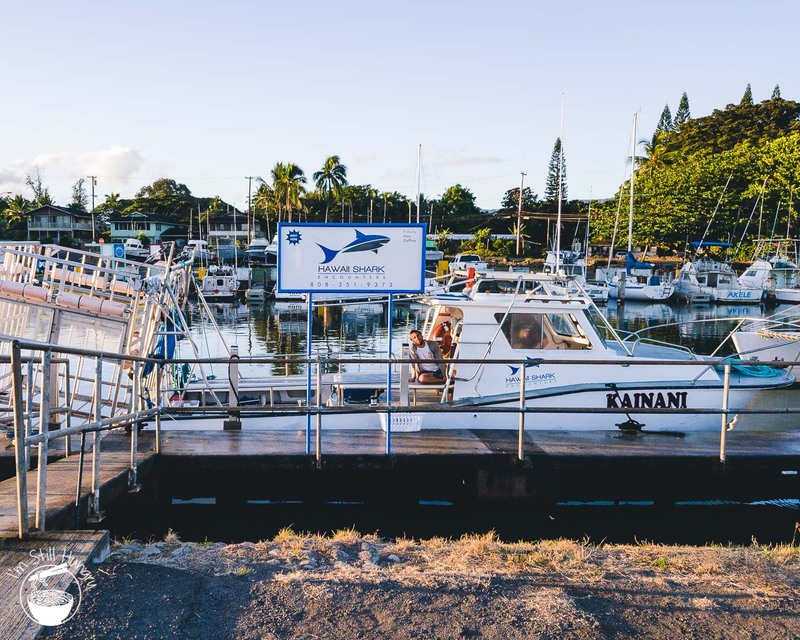 See my first post on Kauai, and second on Big Island! I don’t ‘like’ tourists. Yes, I’m one of them, and I guess that makes me a the discriminatory hypocrite. But I still don’t ‘like’ them – not when it’s a place where tourists form the majority demographic. 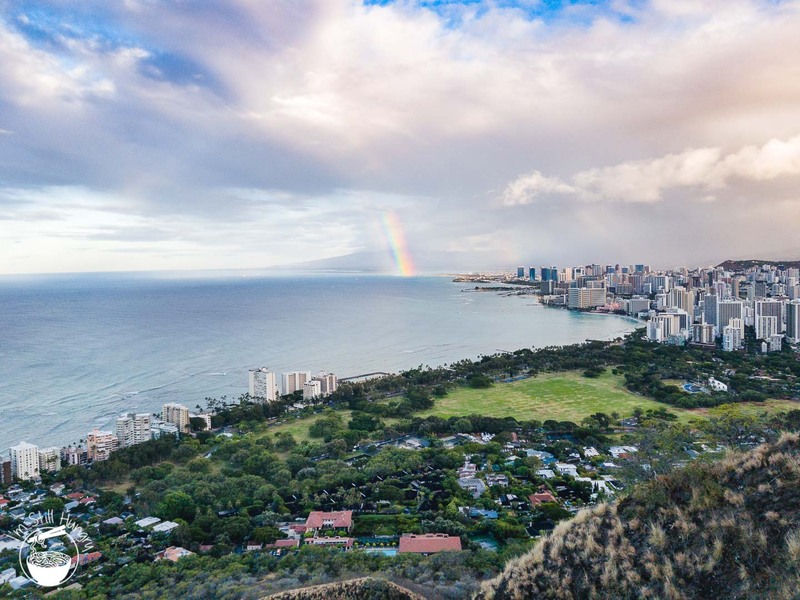 While Honolulu is justifiably famous (Waikiki Beach and the setting of Hawaii Five O are just the beginning), we rolled our dice a different way. 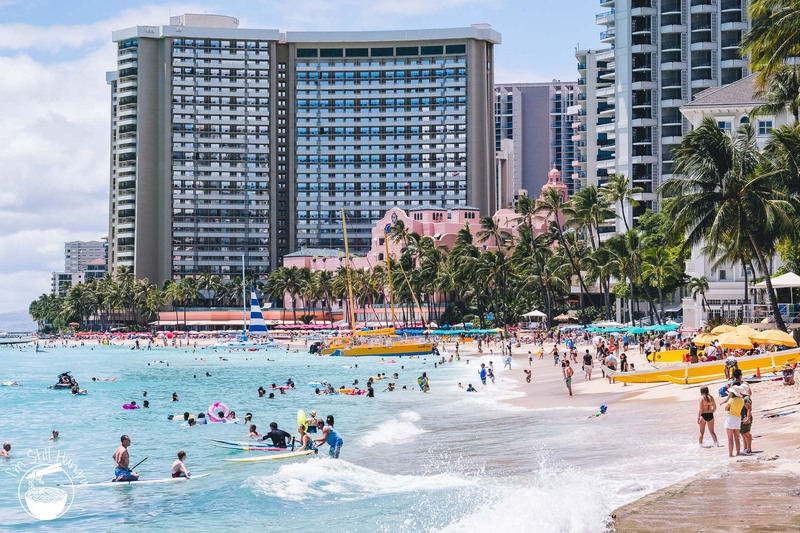 Waikiki Beach – so very pretty! 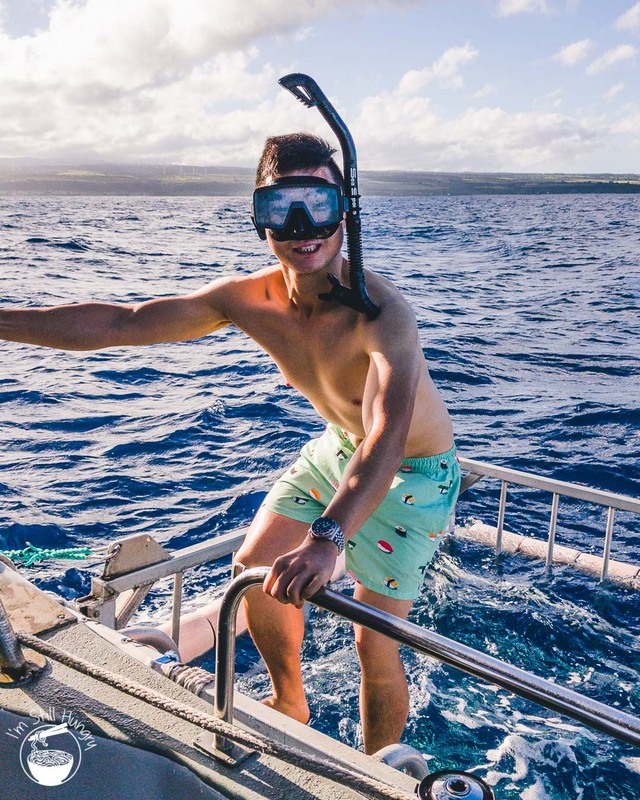 Activities such as shark cage diving and a true Hawaiian luau were mandatory itinerary items, incontestably worth the money and time. 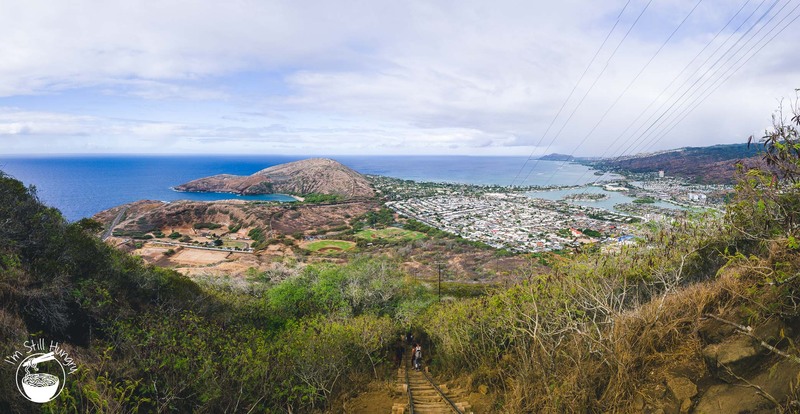 And while hiking the Diamond Head Trail was an admittedly cliched experience, it’s one that justifies its popularity. 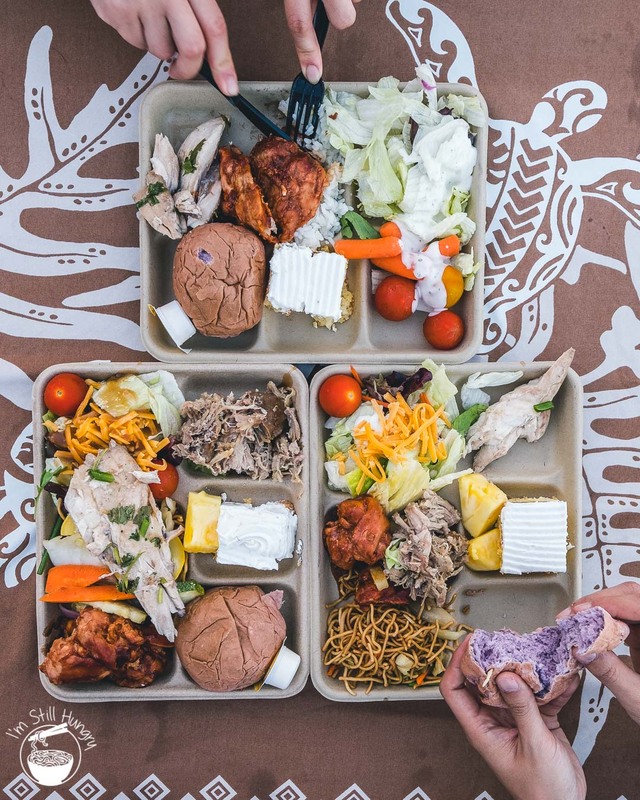 One benefit I do concede getting back to civilisation is the quality of food – not that Kauai and Big Island were lacking – famous chef Alan Wong operates one of Hawaii’s most famous restaurants in Honolulu, single-handedly demonstrating that Hawaiian food exists beyond the plate lunch and poke bowl – not that I ever doubted. My time was certainly short on Oahu compared to Kauai and Big Island, but when life gives you only a few lemons, you squeeze; you squeeze very, very hard. Speaking of squeezing, I’m sure I gave the bars of the shark cage a good workout in my terror. 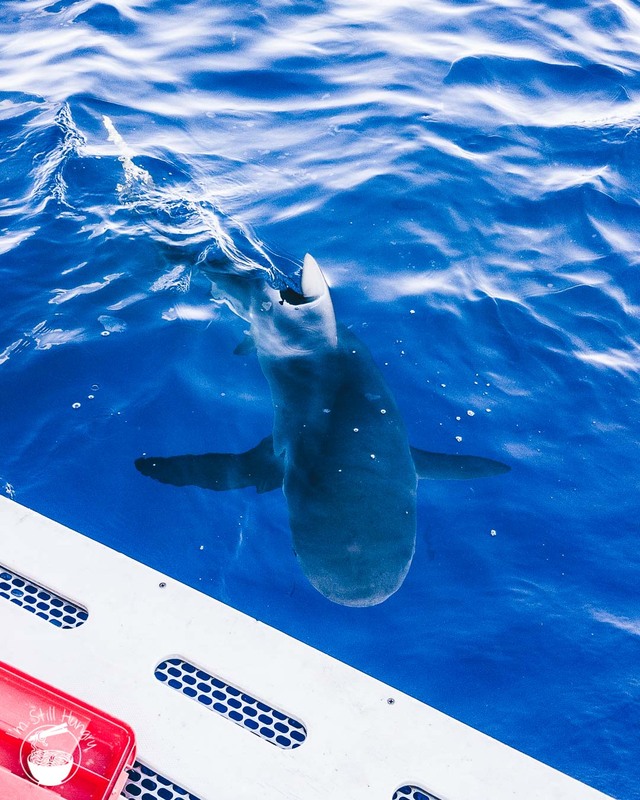 Being in the vicinity of carnivorous sharks is generally regarded as one of those activities life insurers frown upon. 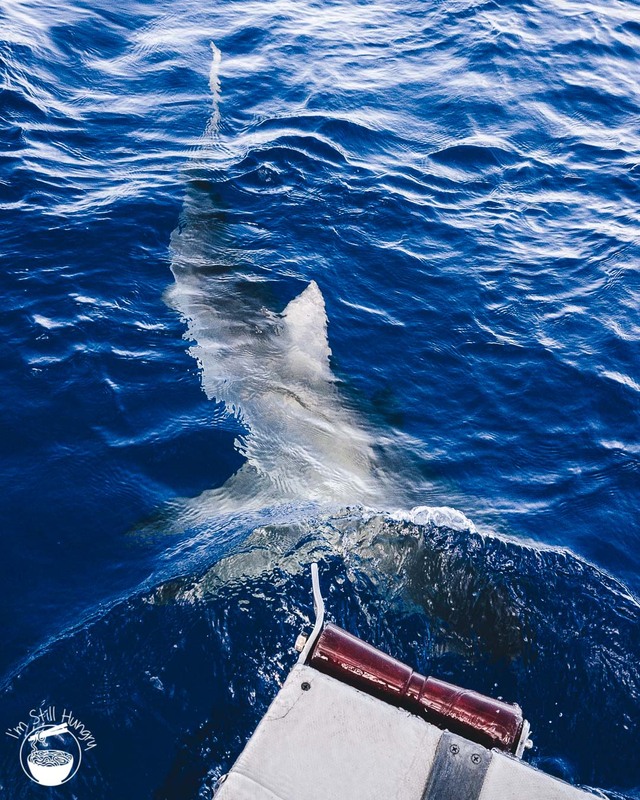 North Shore Shark Adventures keeps people breathing and insurance premiums low via shark cage diving, a novel experience. The best bit? 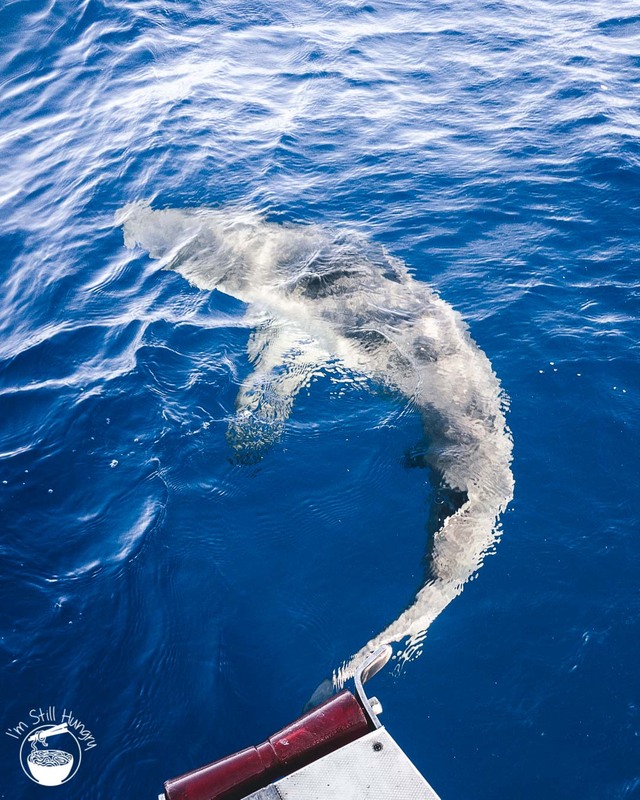 Getting to see the ocean’s most misunderstood species with my own two eyes – without having to donate a limb. The worst bit? Not having a GoPro to document it. Great view of Oahu on the way out! 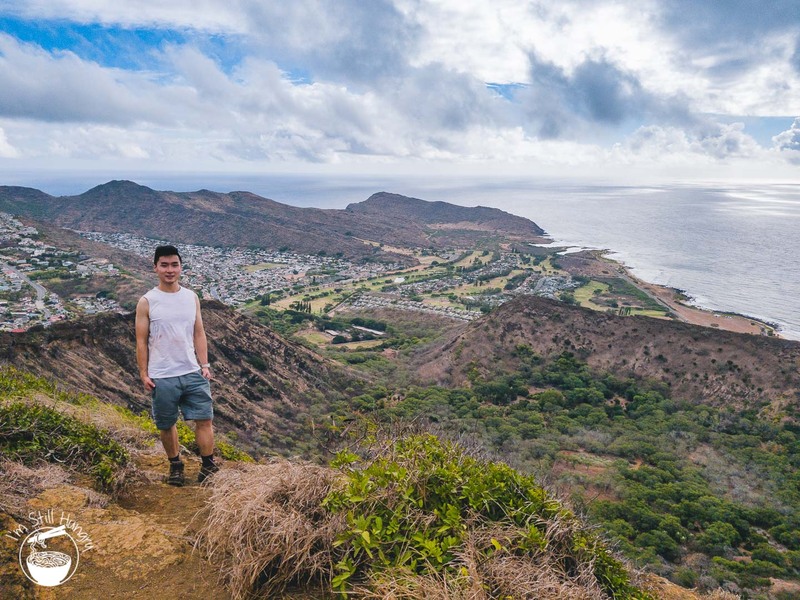 I only hiked two trails while on Oahu, so my declaration that Diamond Head is nothing short of incredible should be taken with a grain of salt – yet it’s one I make with unwavering confidence. 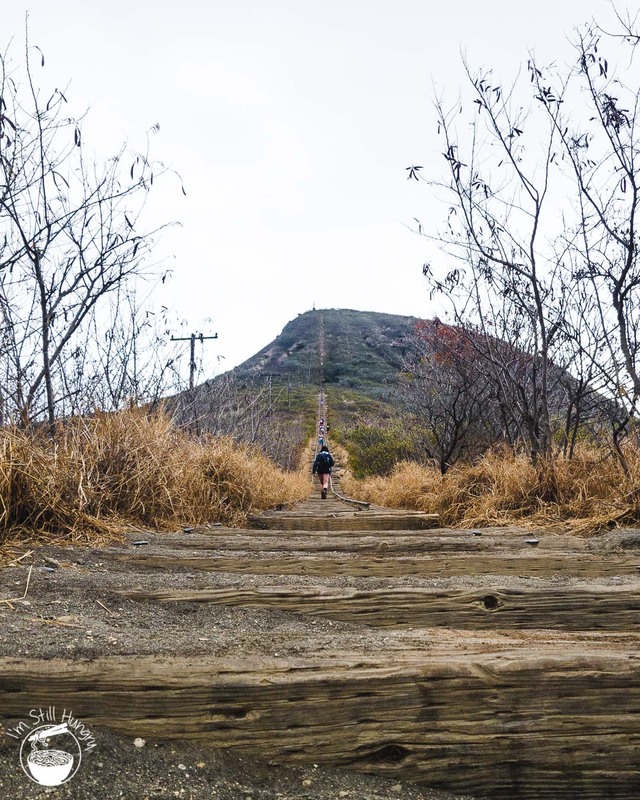 This ambulatory stroll up a dormant shield volcano is one that deserves the crowds: there were already hundreds of people at the start of the trail…and this was at 6am. While the crowds definitely soured things somewhat, the views from the trail are hella beautiful. 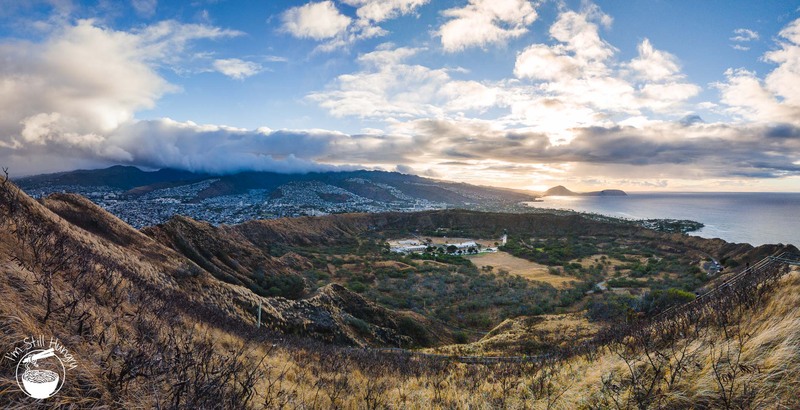 Make sure you devote at least one of your mornings to Diamond Head: it is the categorical ‘if you could only do one, make it this one’. During World War II, the US military built several bunkers at its summit and constructed a railway to supply them. It was quite the feat of engineering, as the gradient of the mountain is – excuse my poor math – friggin steep. But the number to pay attention to isn’t the angle: it’s 1048. 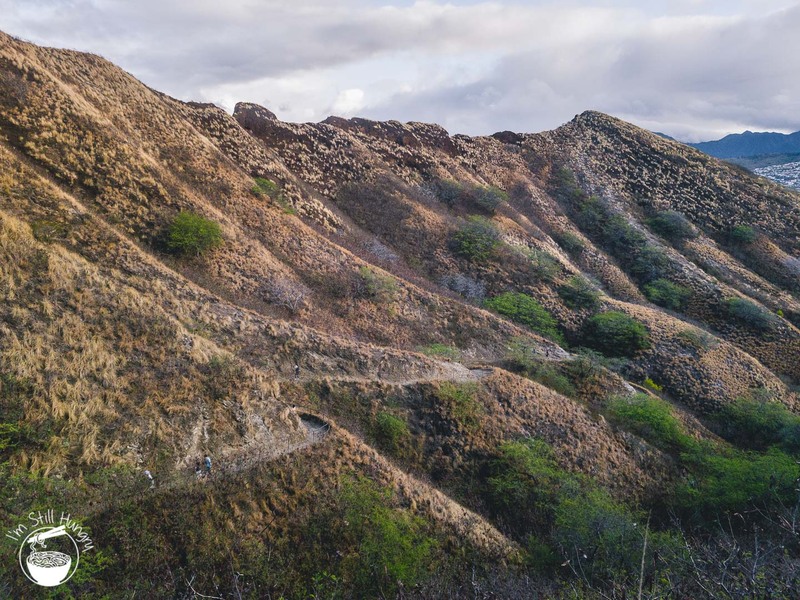 Our time on Oahu wasn’t so short that Diamond Head was the only trail we could do, but perhaps it would have been better if that were the case. 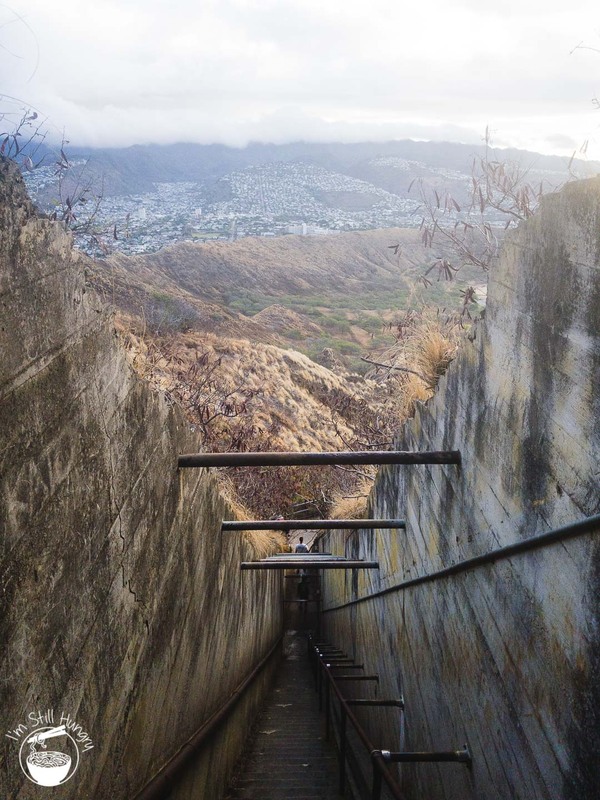 Koko Head: 1048 steps, AKA the most intense quad burning session I’ve ever experienced. Making it up to the top under 20min is apparently a good time, which I managed to accomplish; however, for someone who likes to think of his fitness as at least decent (‘okay but enjoys ramen’ is a good descriptor), I was slaughtered. My legs and I have never had quite the same level of trust again. Halfway up to the top! Made it! I look rekt. For once, I was what I looked like. I spent less than ten minutes here, which may well be the record for shortest time of any tourist. It’s an excellent beach, to be sure, having what it takes to impress even beach-spoiled Sydneysiders. I certainly can’t blame you if you decide to lounge here all day! Boy, my friends must think I’m so jaded. But let’s step back a little. 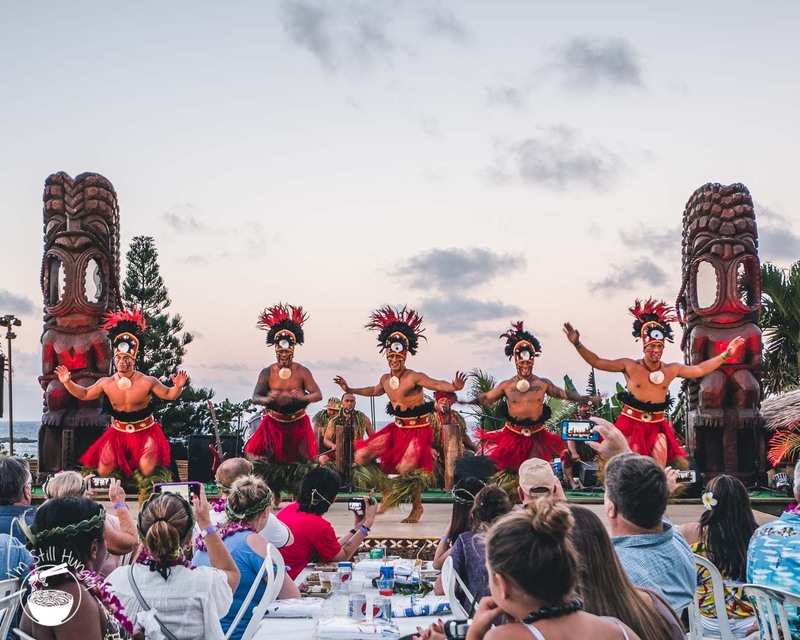 A luau is a Hawaiian tradition dating back hundreds of years, as a party inclusive of dancing, entertainment, and a meal of banquet proportions. 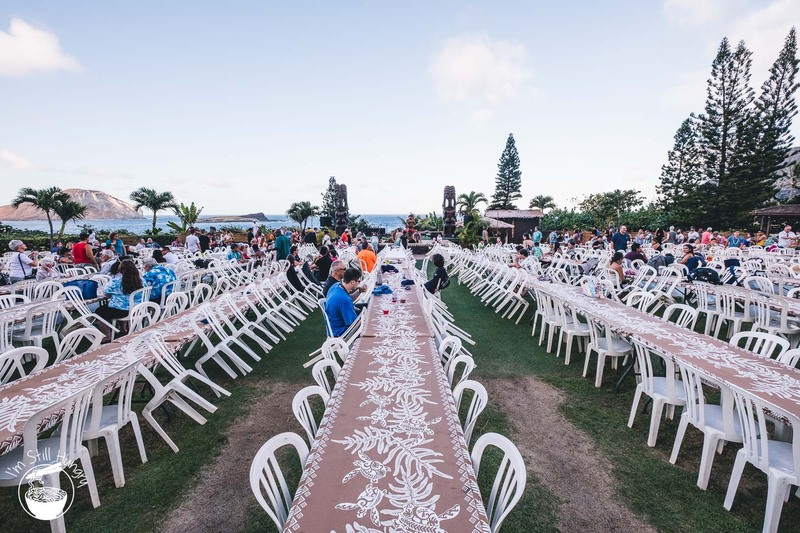 It’s ingrained to such an extent in Hawaiian culture that Hawaiians themselves don’t really distinguish ‘party’ and ‘luau’. They are one and the same. 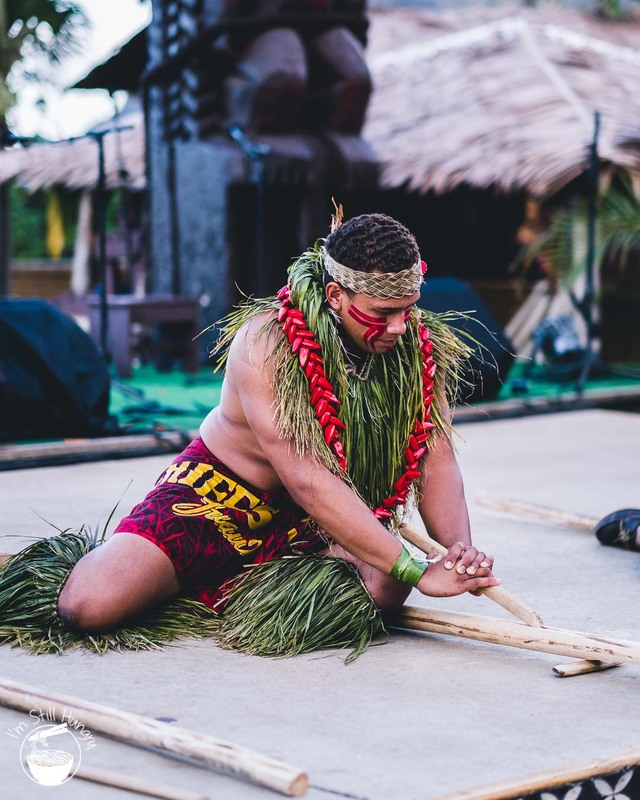 But when a tourist hands over a hundred dollars to a company that specialises in luaus, it’s hard not to be suspicious: is this going to be legit? Are the drinks going to be overpriced and diluted? Am I going to leave hungry? 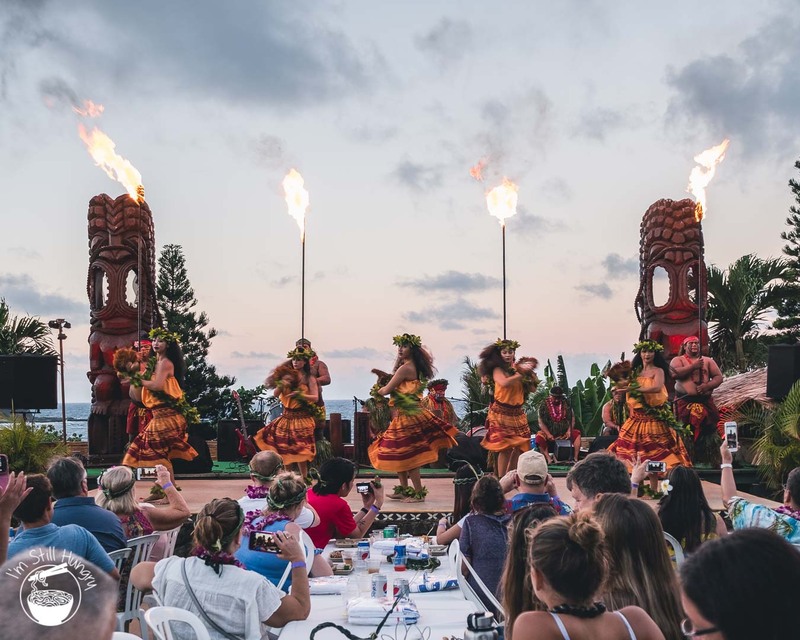 Chief’s Luau is one of the highest-rated activities on TripAdvisor, but it didn’t exactly instil confidence, given its tourist-focused audience. Oddly enough, the fact that it’s held at the Oahu Sea Life Park of all places was not exactly confidence-boosting. 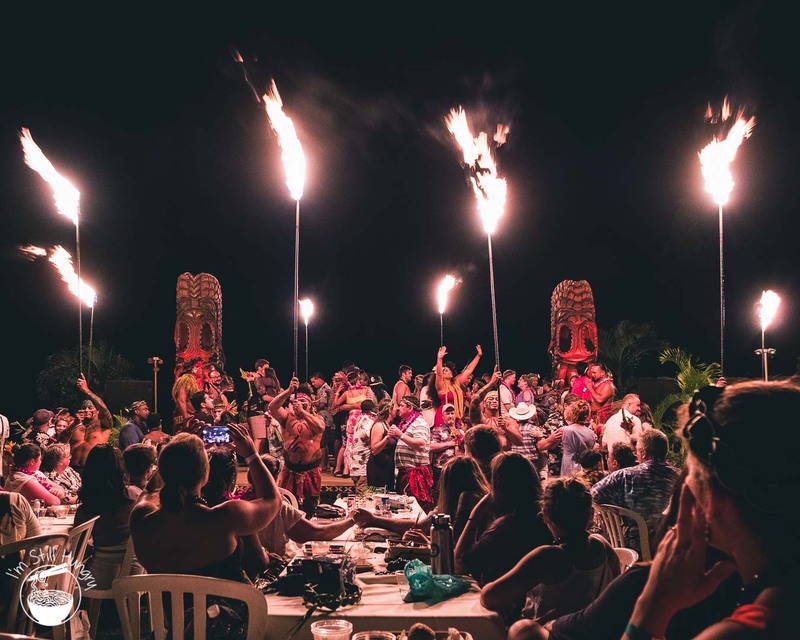 So what if I said Chief’s Luau was one of the most enjoyable activities on the entire trip? 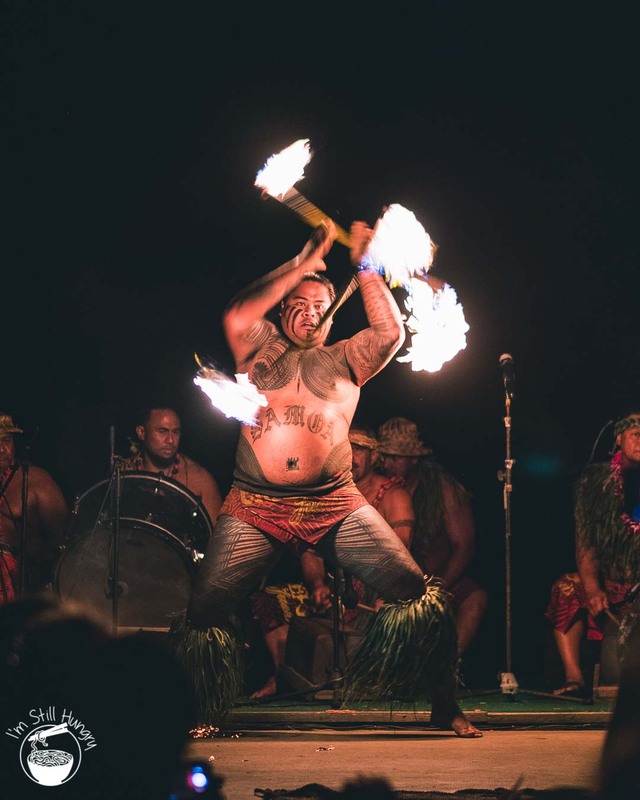 The luau featured traditional & interactive Hawaiian activities such as spear throwing, headband weaving, hula and fire starting. 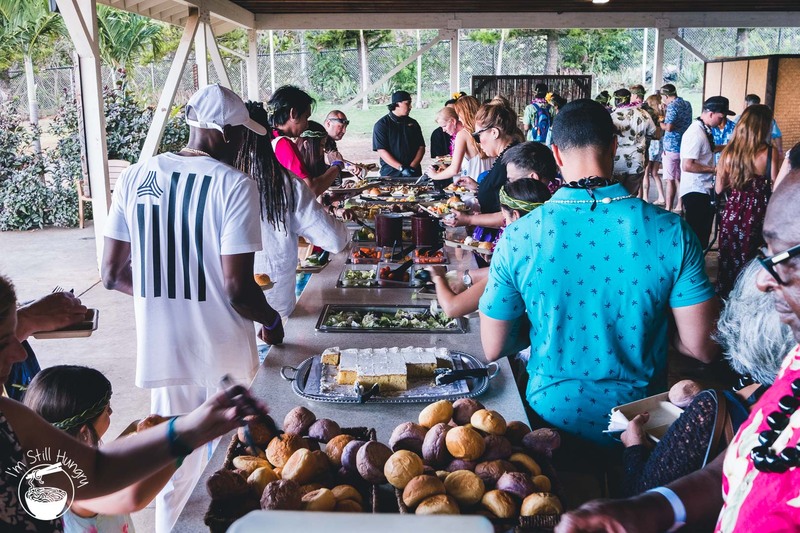 This was followed by a Imu ceremony, involving the unearthing of a full kalua pig cooked in the earth, nicely segueing into a Hawaiian luau buffet from which I ate until I could eat no more. 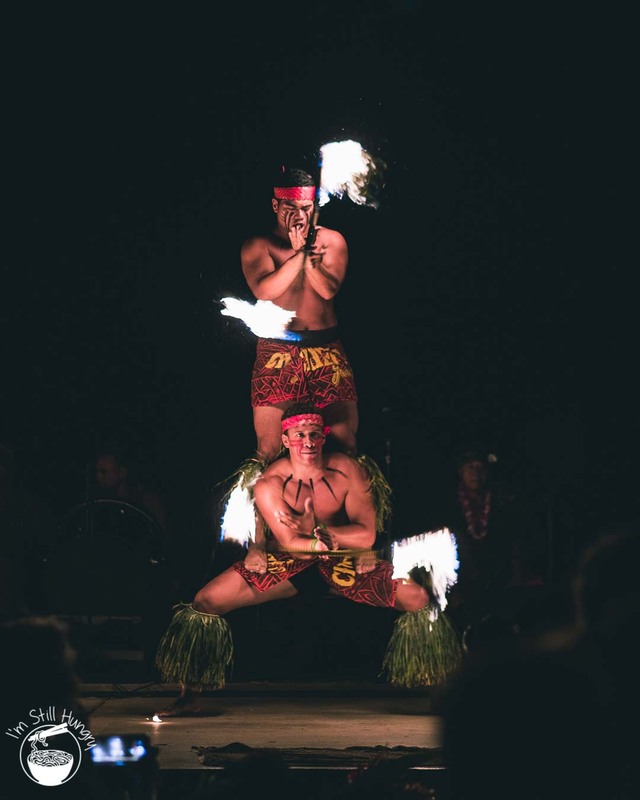 Finally, the rest of the night was filled with song and highly skilled dancing in the Polynesian Islands Show, a representation of numerous pacific islander cultures. 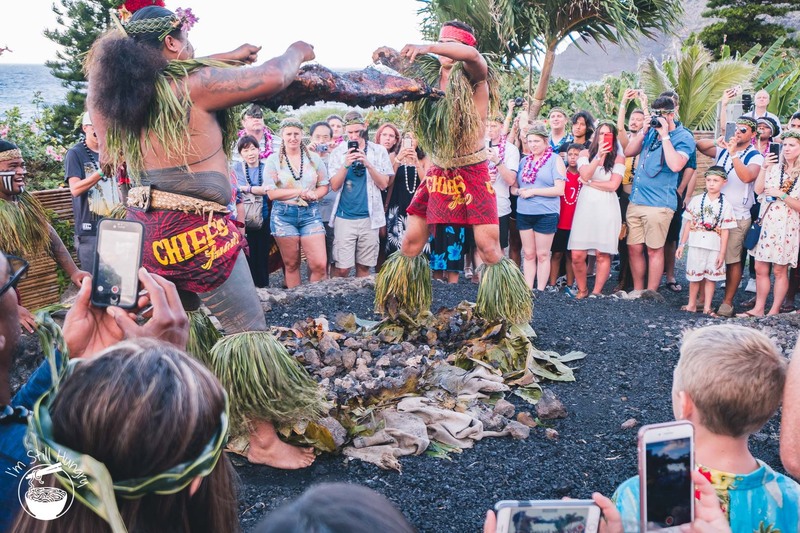 While I personally can’t validate its authenticity, it certainly felt like a proper inculcation of Hawaiian culture. The drinks were definitely weak and overpriced, but I’m genuinely surprised at how that’s the only criticism. 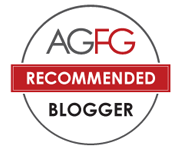 Consider this blogger converted. Firestarting – it’s harder than you think! The all you can eat buffet! …but it never got boring! This guy is a world champion fire spinner. Seriously. 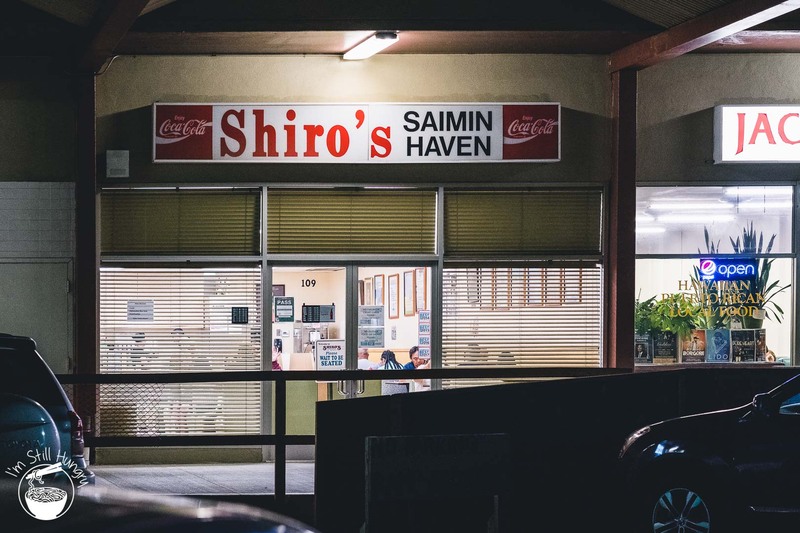 Shiro’s Saimin Haven isn’t particularly well-named, depending on your viewpoint. 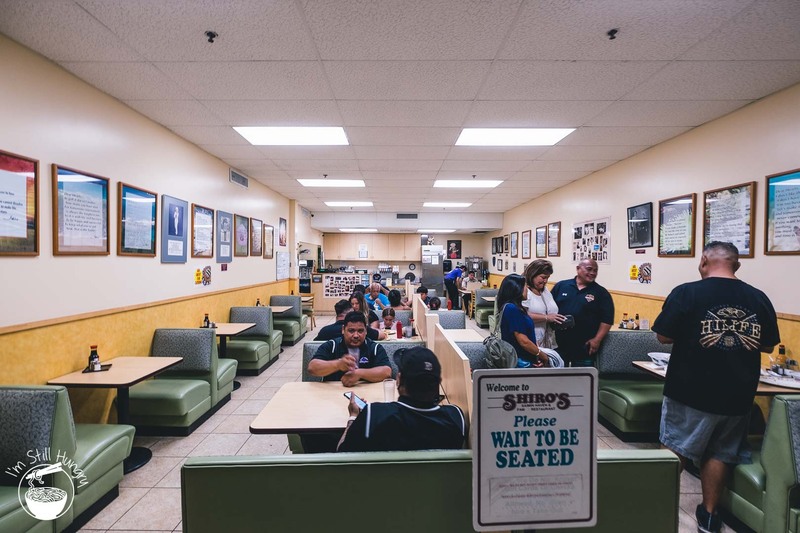 Haven means sanctuary or refuge, but Shiro’s is no haven to saimin: no bowl is safe – they perish by the thousands down the gullets of hungry customers’ stomachs, day by day, week by week. If saimin were to be anthropomorphised, Shiro’s would be their widowmaker. Disturbing analogies aside, the saimon at Shiro’s was delicious. 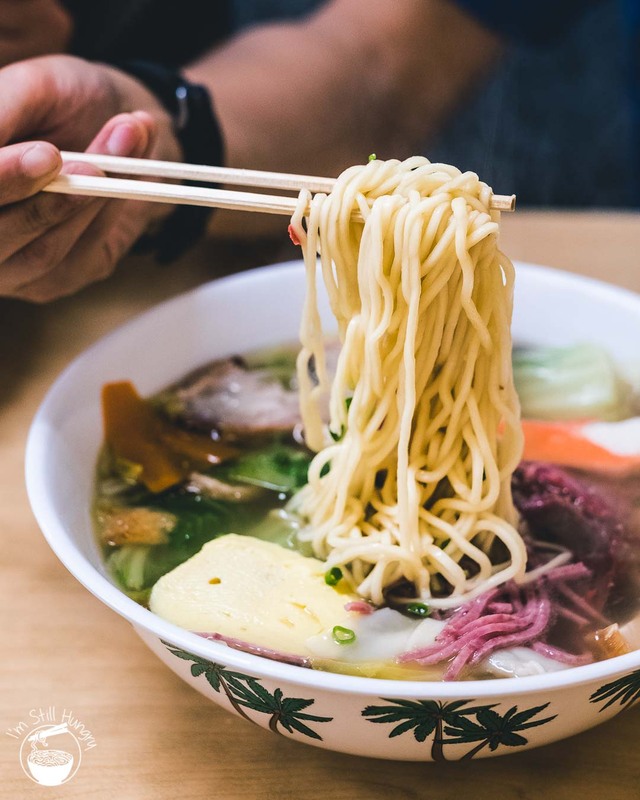 As I described in my Kauai post, saimin is a potpourri noodle soup dish incorporating elements from multitudinous Asiatic cultures, constituting a dish unique to Hawaii. At Shiro’s, there are literally over sixty types of saimin you can order. Oh, it’s that kind of haven. 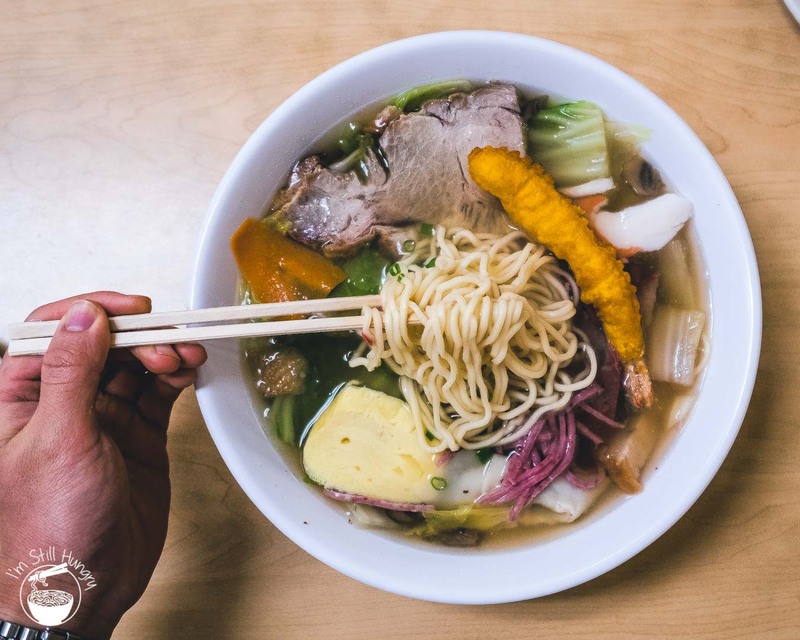 While the variety can induce some pretty scary FOMO in a first-timer, the reality is that most line items feature a standard saimin noodle soup based, with the variation coming from the combination of toppings, of which there are over 40. In fact, there is almost an endless combination as you can even DIY your own! It seats so many people! One of the menu’s more hilarious inclusions: Dodonpa, The Ultimate King of Saimins, Bombarded with 10 Garnishes – Fried Shrimp, Roast Beef, Char Siu, Wun Tun, Chinese Roast Pork, Luncheon Meat, Imitation Crab, Mushrooms, Eggroll and Vegetables. 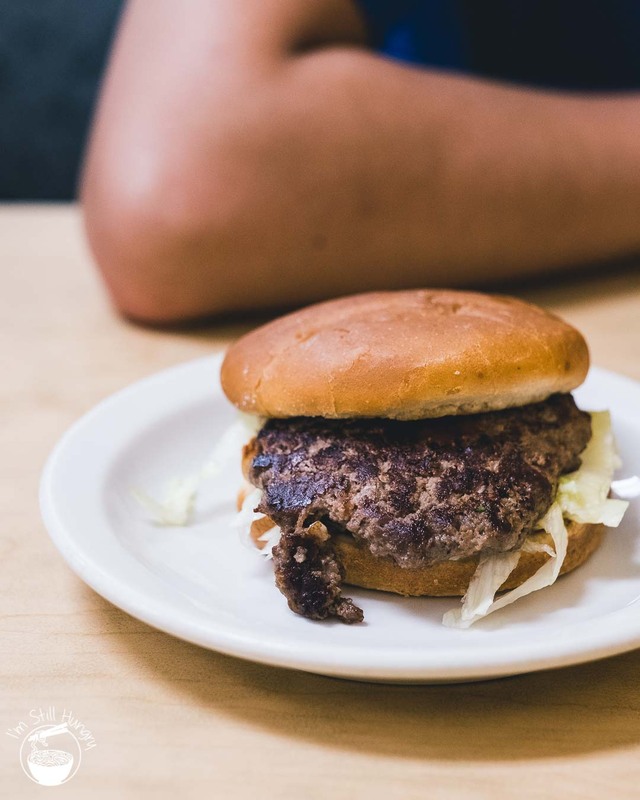 Uh, would you like a side of burger with your saimin? 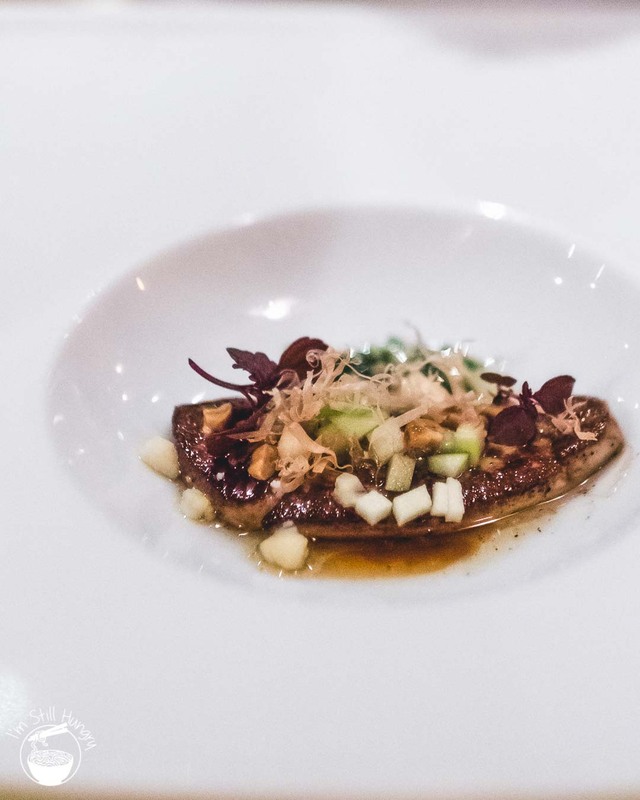 Well, if you order the Ron Mizutani special – you can! Looking up a good barbecue restaurant to visit in the USA is kind of like looking for hay in a haystack: it’s not hard, folks. Fortunately, almost everyone we chatted to while on our shark diving adventure singled out Kono’s as a bale of hay standing above the rest. 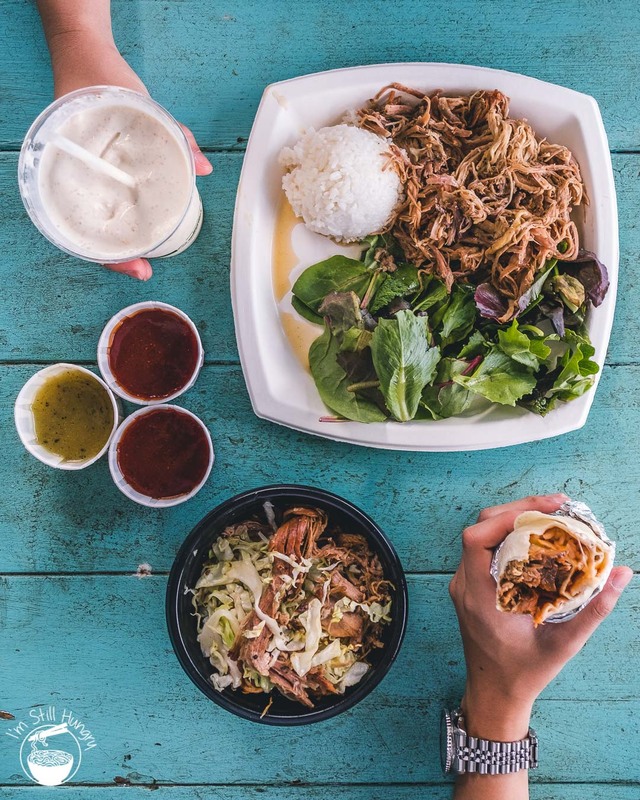 The not-so-secret secret is their focus on kalua pork. Slow-cooked over 12, gentle hours, the product is what good pulled pork should be: sweet, juicy, and succulent. No pig dies in vain at Kono’s. 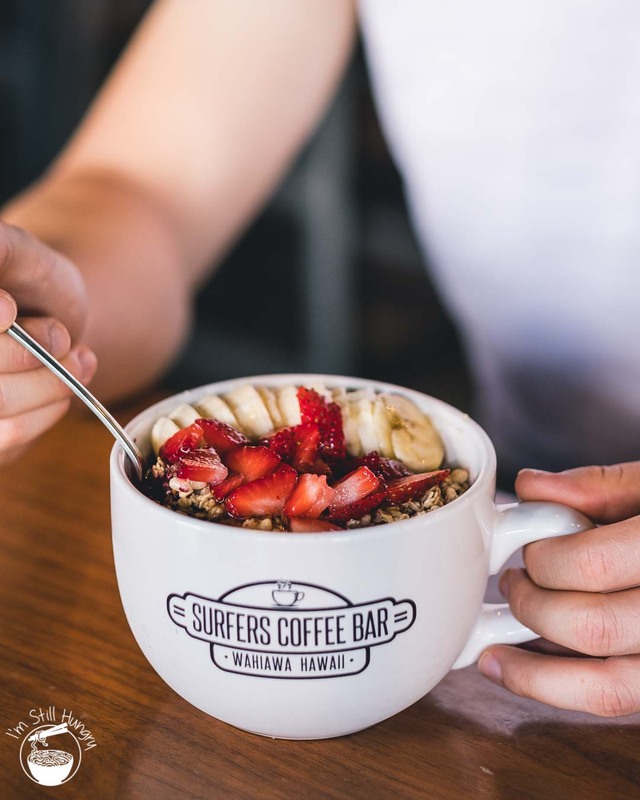 All the surfing-related paraphernalia lining the walls of Surfers Coffee Bar appear to be a desperate attempt to hide an ironic reality: this cafe is nowhere near a beach. 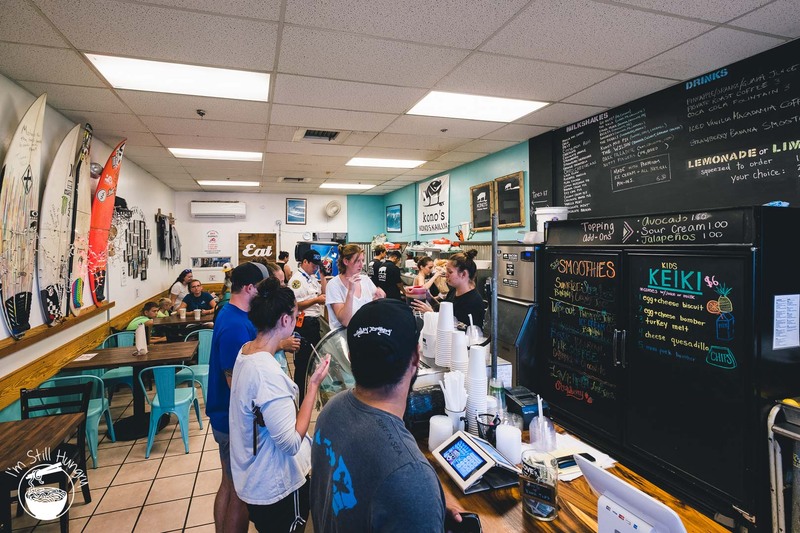 It’s a place where MacBook-toting, espresso-sipping hipsters outnumber bronzed surfers five to one. 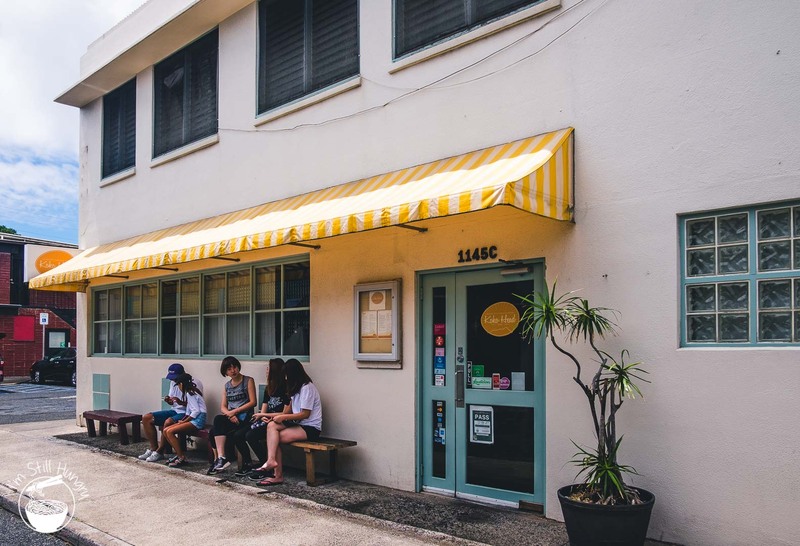 If it weren’t for the name and the surfboards lining the place, this could very well be a book cafe to be found in Sydney’s very own Surry Hills. 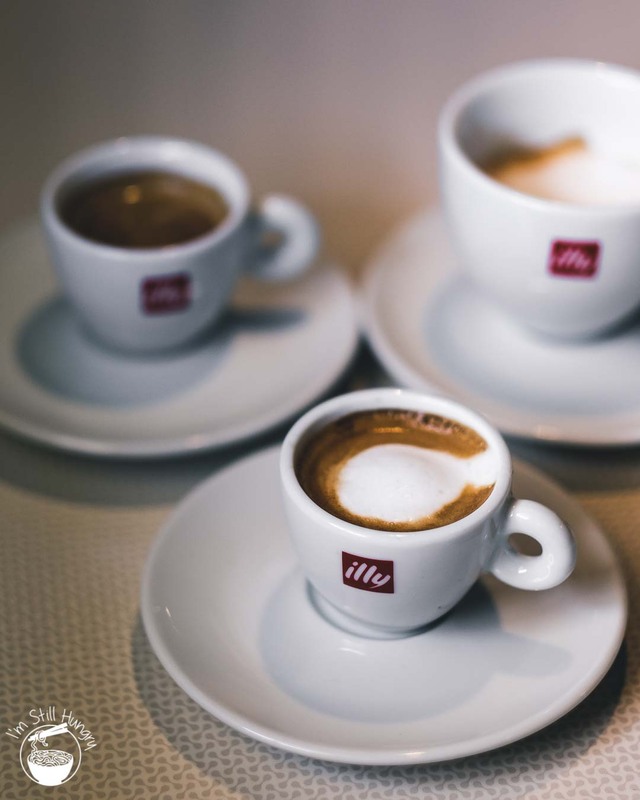 That’s not a bad thing – Sydneysiders are used to such places dishing out great cups of joe, and while there’s no surf at this coffee bar, the coffee does make waves. 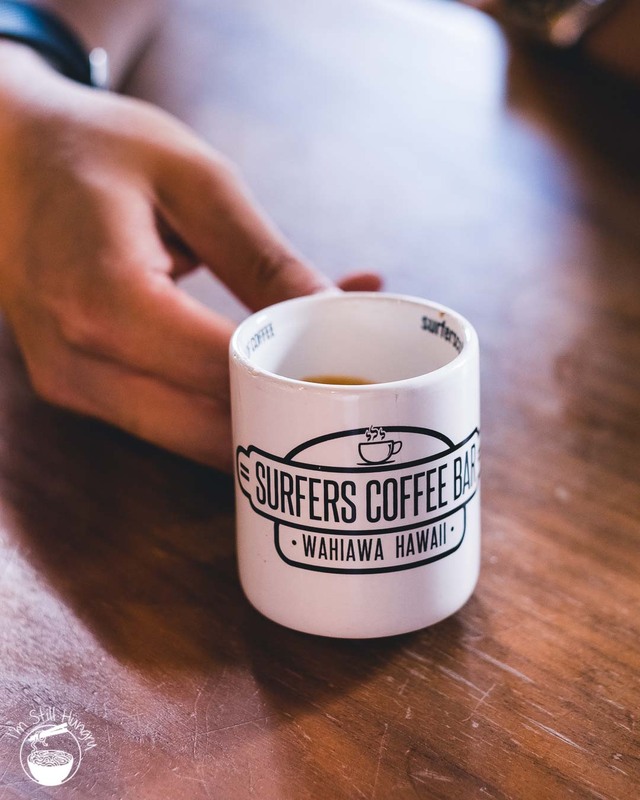 It exhibits the usual heavy bitterness and semi-ripe stone fruit notes that’s become my primary way of ‘telling’ a Hawaiian coffee. 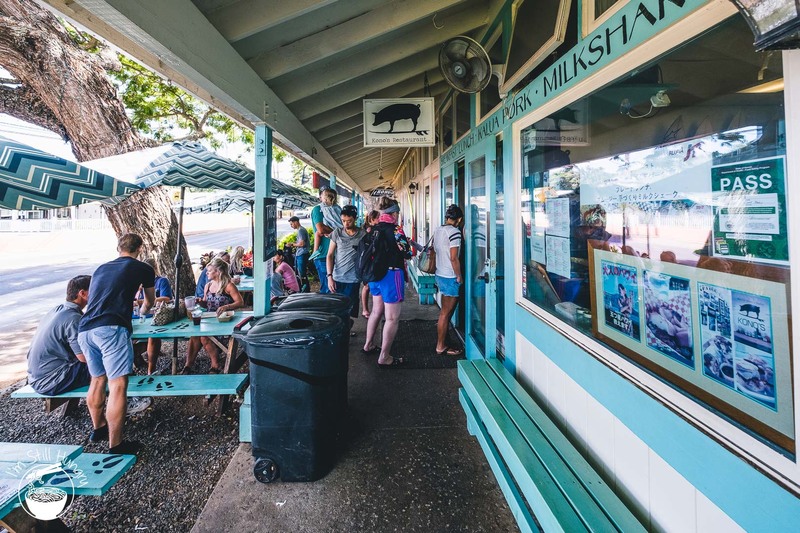 Worth the pit stop from Oahu’s north shore to its south. 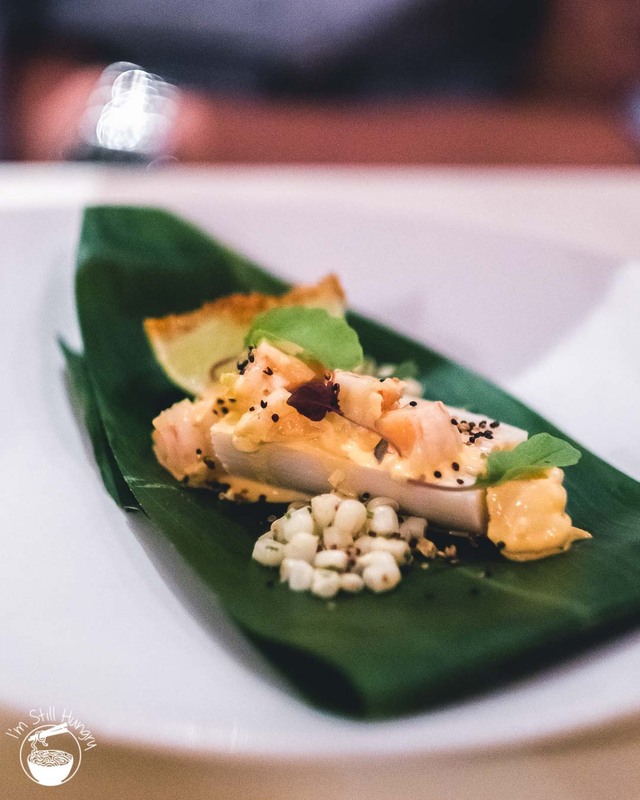 There’s something called ‘Hawaiian Regional Cuisine’. 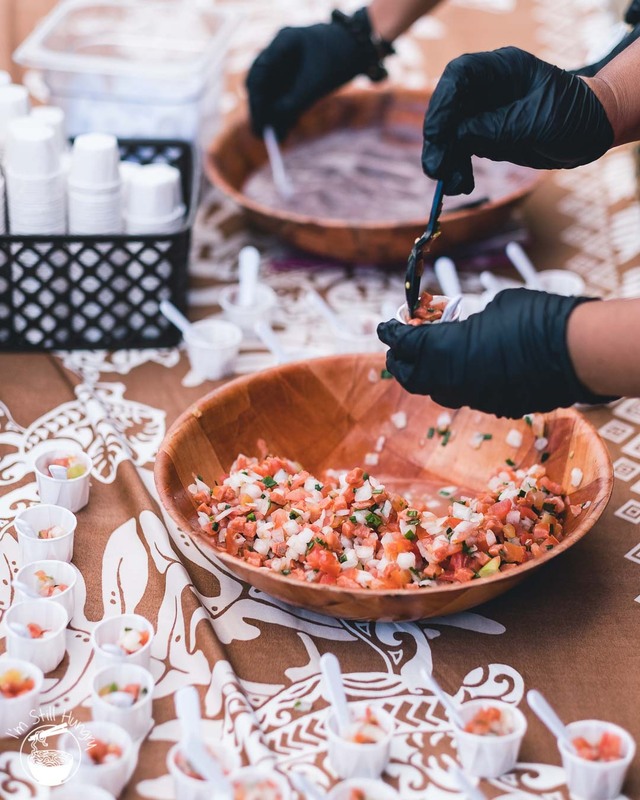 It’s a salmagundi of ingredients, techniques and flavours that are a direct result of Hawaii’s placing as a melting pot for Japanese, Pacific Island and Western influences. 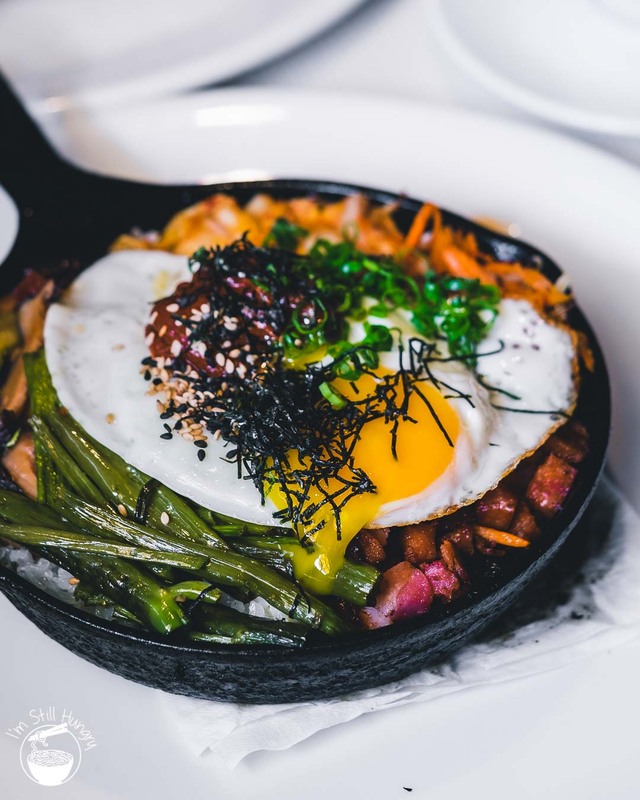 Some famous examples in my Kauai & Big Island posts, such as loco moco and poke salad are prime examples of the style. Enter Alan Wong. 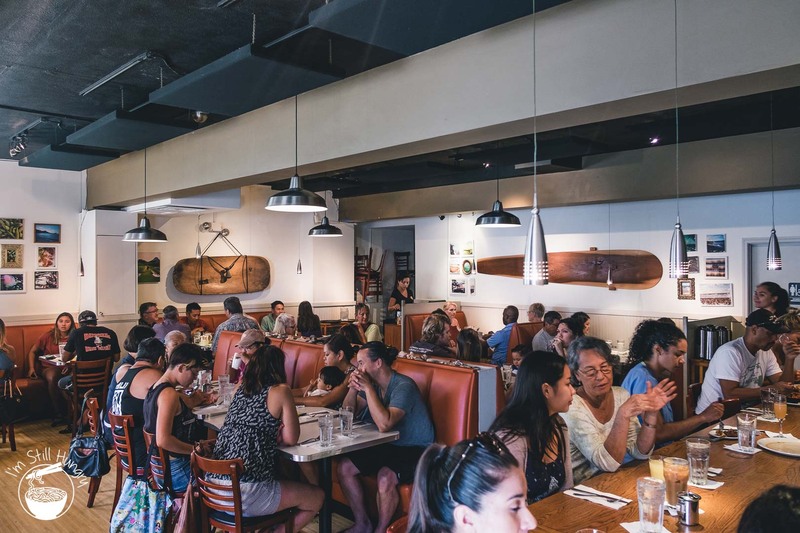 He is considered one of the godfathers of popularising Hawaiian regional cuisine, elevating it to the echelons of fine dining at his eponymous flagship. 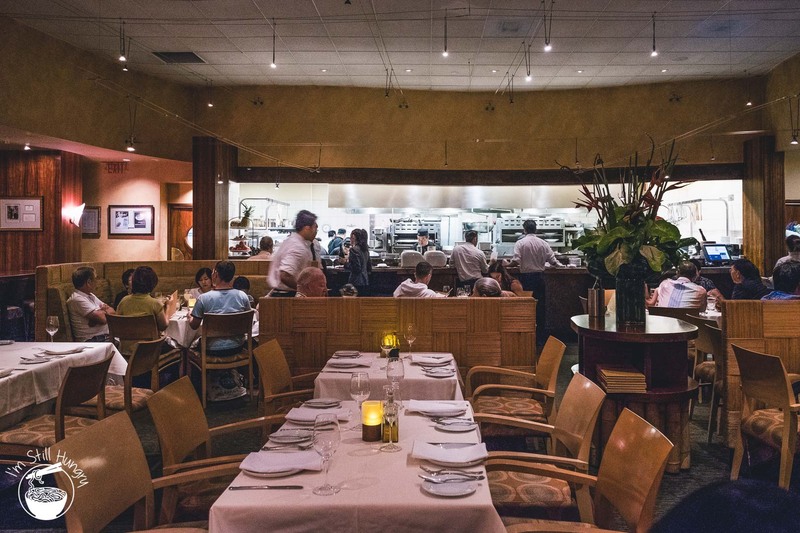 Other than Kauai Grill at the St Regis, dinner at Alan Wong’s was only the second time I committed to fine dining on the Hawaii trip; expectations were thus high. Ravenously high. The restaurant was a bit difficult to find. 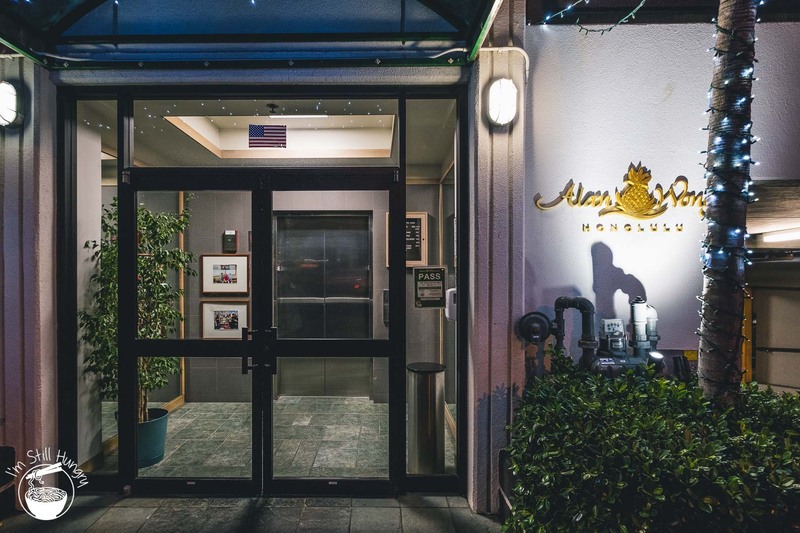 Instead of a predictably prestige location in some high-rise in Honolulu’s CBD, an unlikely, generic office block in the middle of suburbia was the real estate pick. This is a trait particular to many high-end, low-key Japanese restaurants, not that I know if it was deliberate or not in this instance. 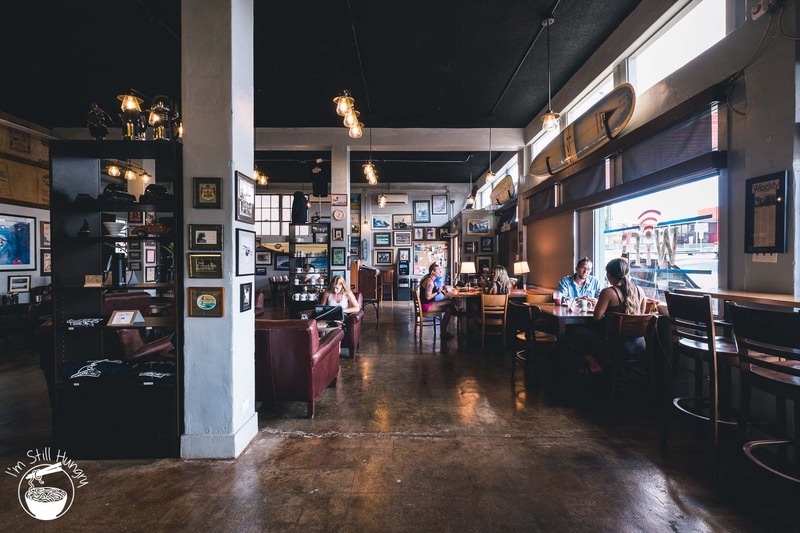 In any case, the restaurant’s interior is stunning – insofar as that I was unable to grasp just how such a mundane building manages to give nothing away from the outside. A hidden enclave. 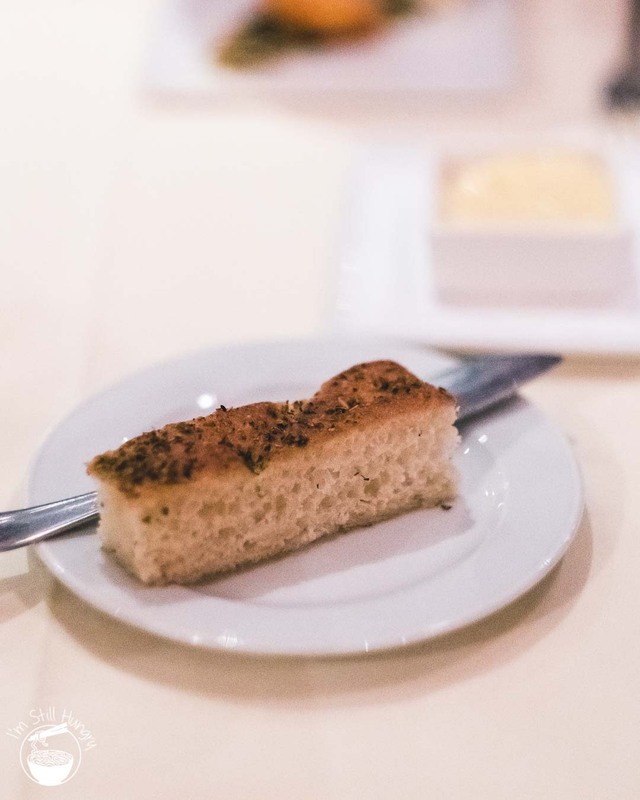 While an a la carte menu exists, the default option for me when it comes to ordering at high-end venues is, as always, the tasting menu. 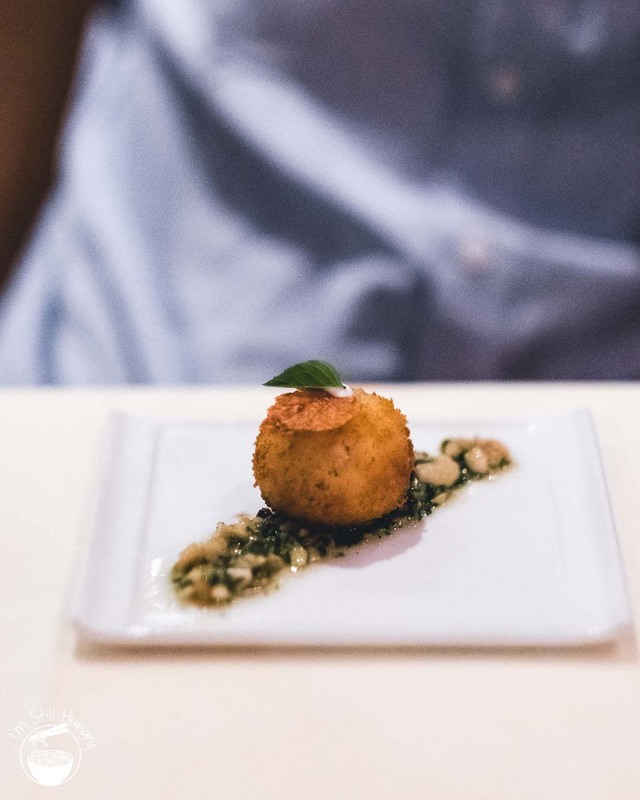 I like to be taken on a journey, and I like to think of the tasting as the restaurant’s best expression of that journey. 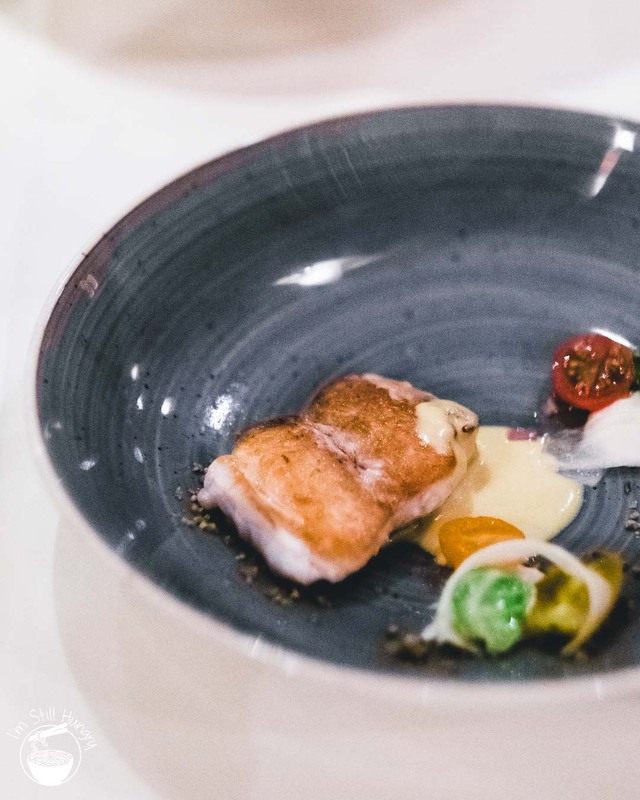 While I did notice dishes with ingredients of international origin on the a la carte menu, I have to give props to the restaurant for showcasing only locally-sourced produce on the degustation (with some imports from mainland USA). 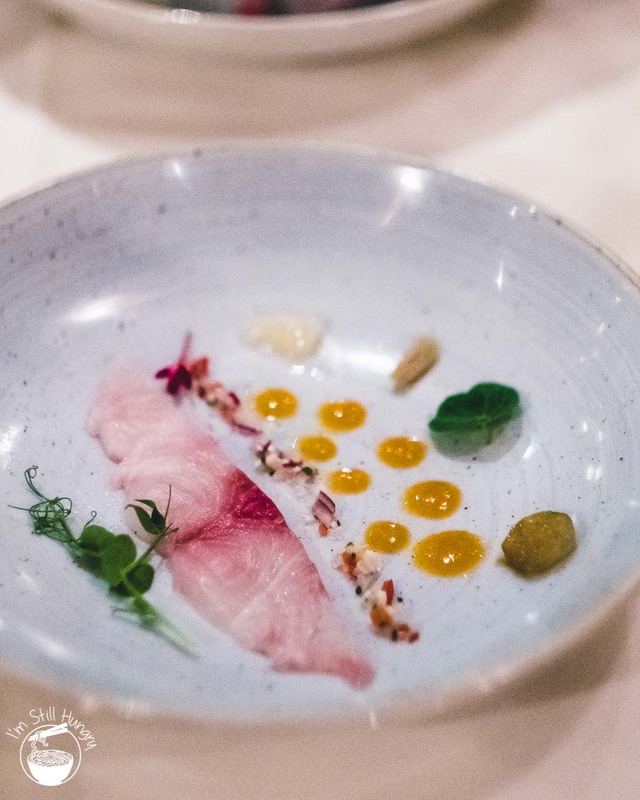 Dishes such as the Hawaiian kampachi sashimi and shrimp salad impressed with their freshness and balance of flavour, exhibiting the best of Hawaiian cuisine. 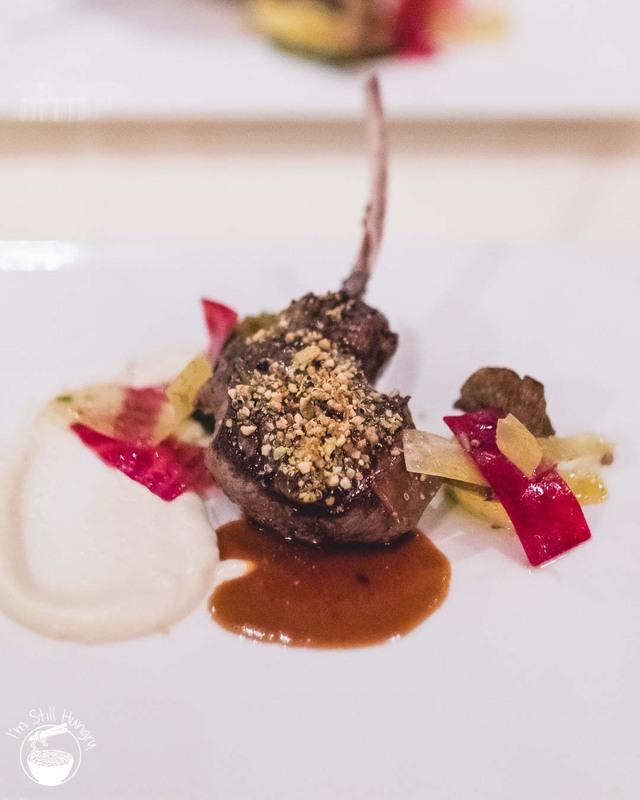 The nut-crusted Maui Nui venison, with its penetrating gamey-sweetness was also a guilty land-based favourite. 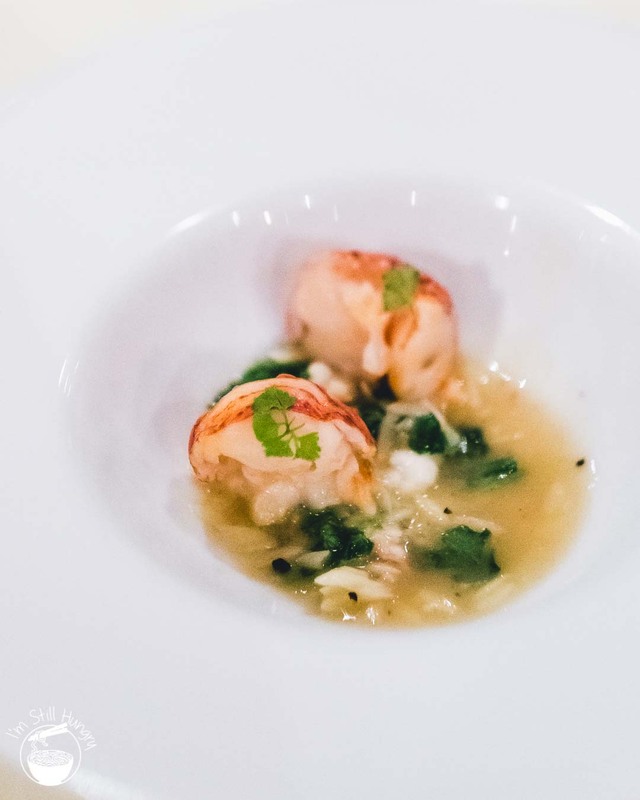 However, under-cooked keahole lobster and a rather out-of-place foie gras dish underwhelmed. In the case of the former, that is an unforgivable mistake almost enough to turn me off the meal. A mixed bag? 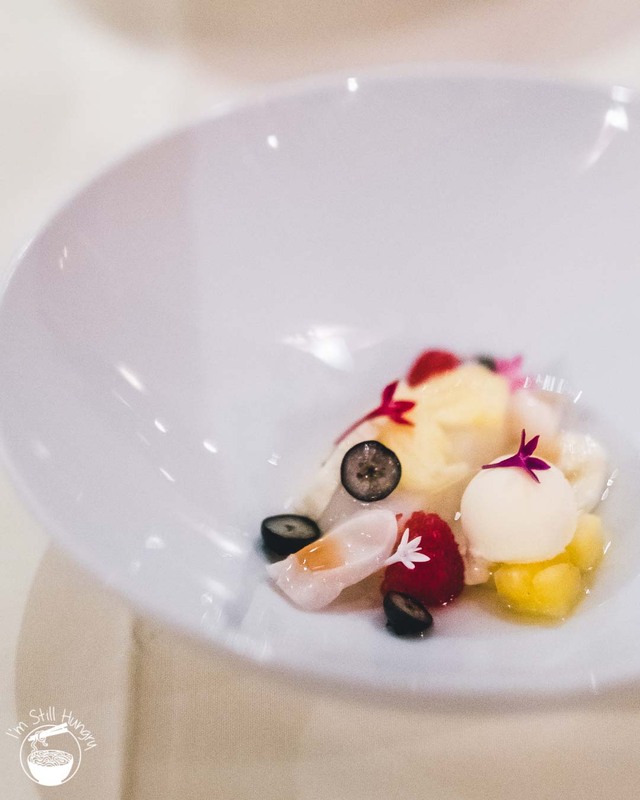 Yes, but this lucky dip of degustation dishes had more winners than not. A tentative recommendation? Perhaps; however, I really, really hope that lobster was a one-off. Otherwise, I’m not sure that even a healthy dose of expectations-vs-reality checking would have me coming back. Doughnuts. 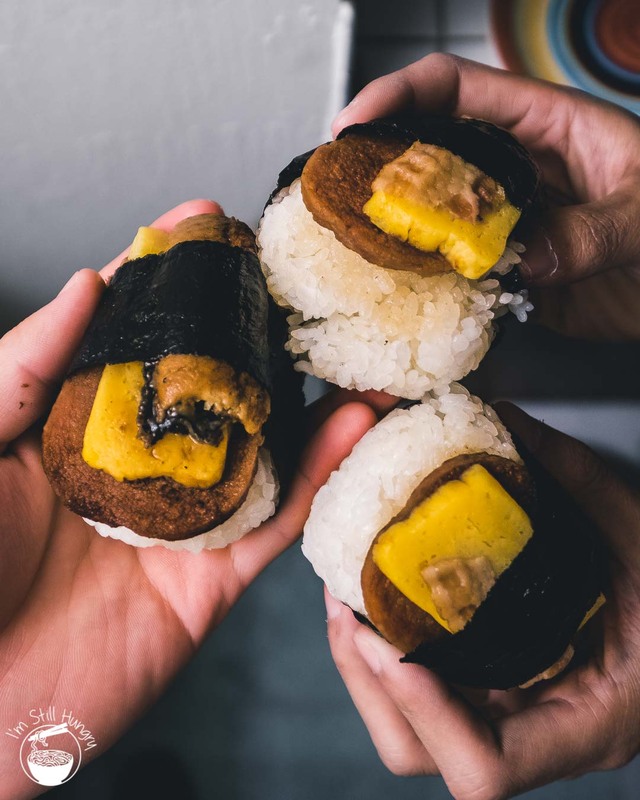 Whether you like them as filled spheroids or holey tori, it’s hard to find someone that dislikes them. Sure, I certainly don’t eat them on the regular for health reasons, but when my Instagram followers took the initiative to inform me of Leonard’s Bakery over and over, I rightly listened. 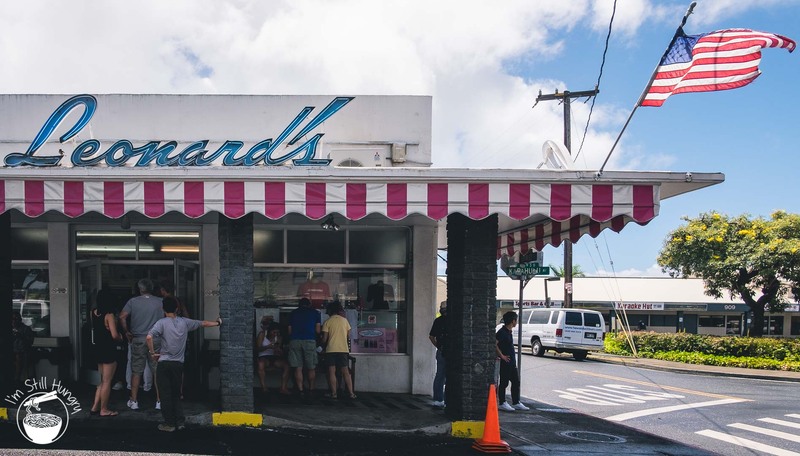 Leonard’s Bakery has been in operation for 65 years, which speaks volumes in and of itself. 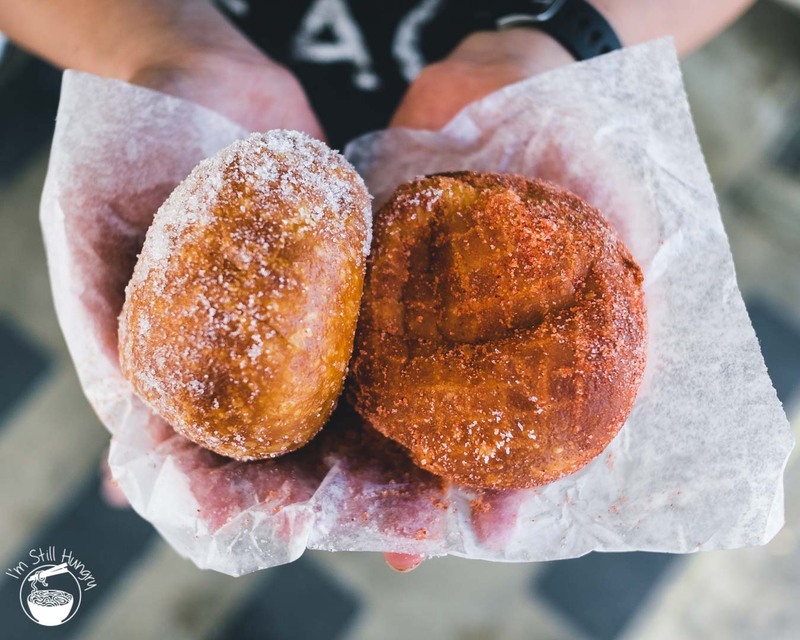 They specialise in made-to-order malasadas, which turns out is the original Portuguese name for no-hole doughnuts. You learn something new every day! 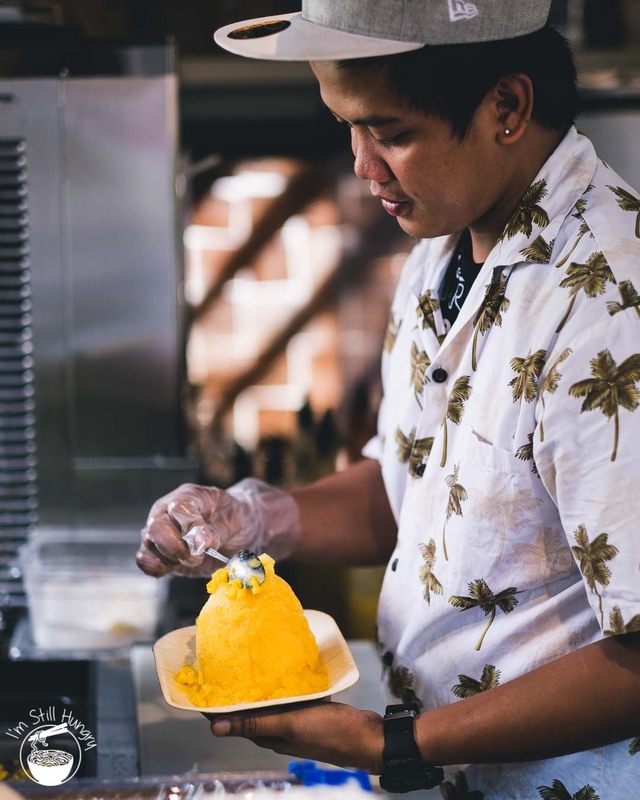 Traditionally, malasadas don’t come with any fillings; however filled versions are a natural evolution. 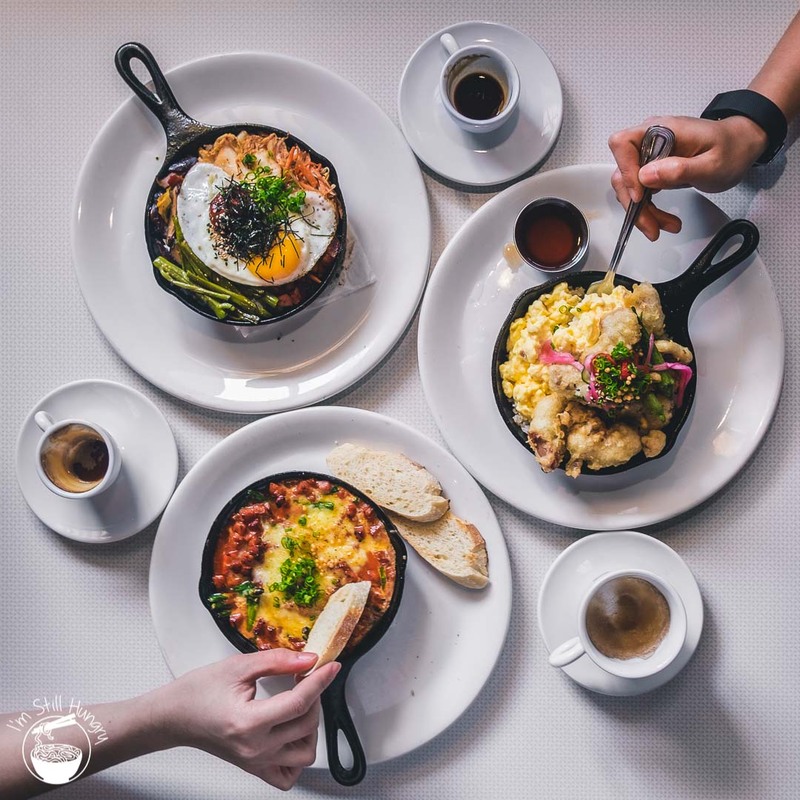 At Leonard’s, both are sold, though we only tried them plain – you can’t use fillings to hide faults. There were no faults. It’s just a damn good doughnut. Leonard’s Bakery’s malasadas. So good! 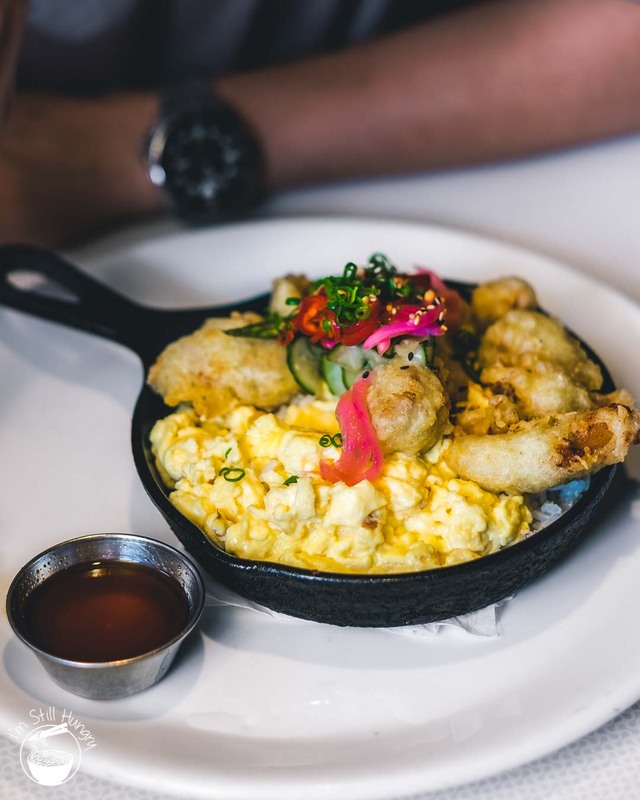 What do you do with a skillet? Fry stuff, I suppose. 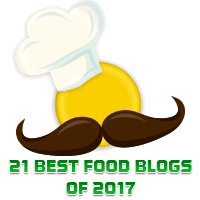 Perhaps exploring your culinary limits with a well-done (but not well done if you know what I mean) steak? 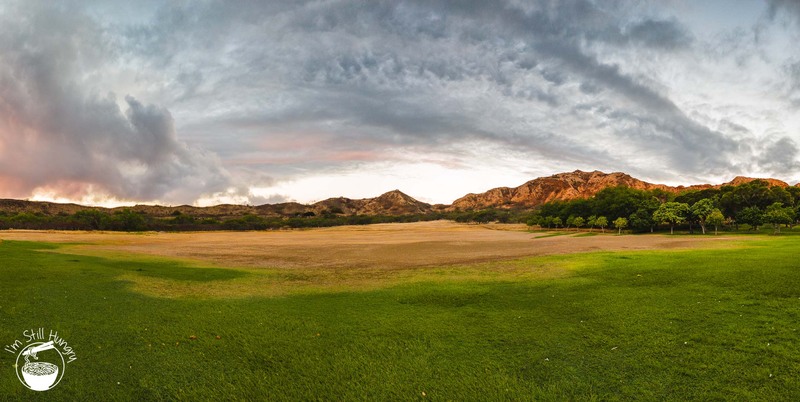 Whatever the case, it all comes to a head at Koko Head. Make no mistake: the comestibles this little corner serves in skillets promotes it to my favourite of them all – for the entire trip. 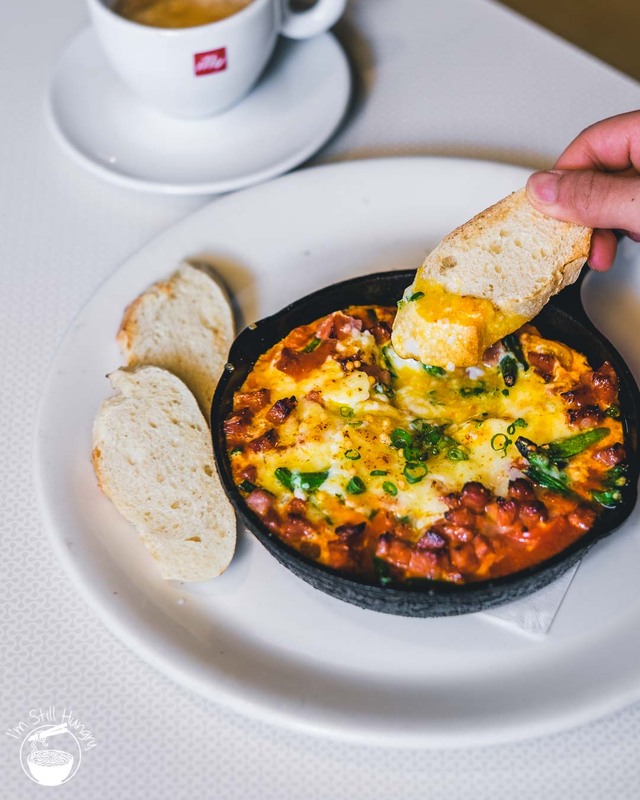 Think a poke salad, with its hodgepodge mix of ingredients, except this time it’s cooked and served baked-eggs style. 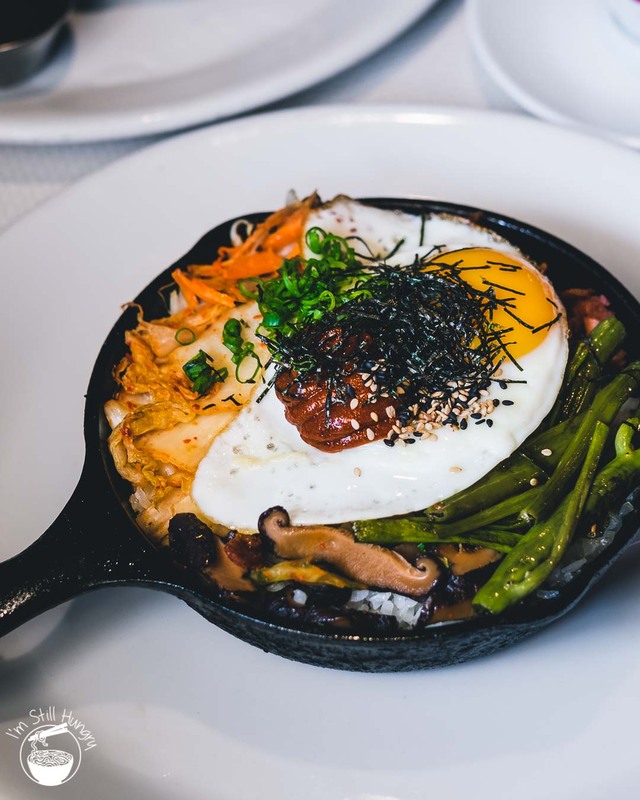 You can get rice bibimbap, Japanese style chicken with rice, or even actual baked eggs – all given Hawaiian twists. Pure deliciousness, a most worthy method to carb load after a challenging hike. 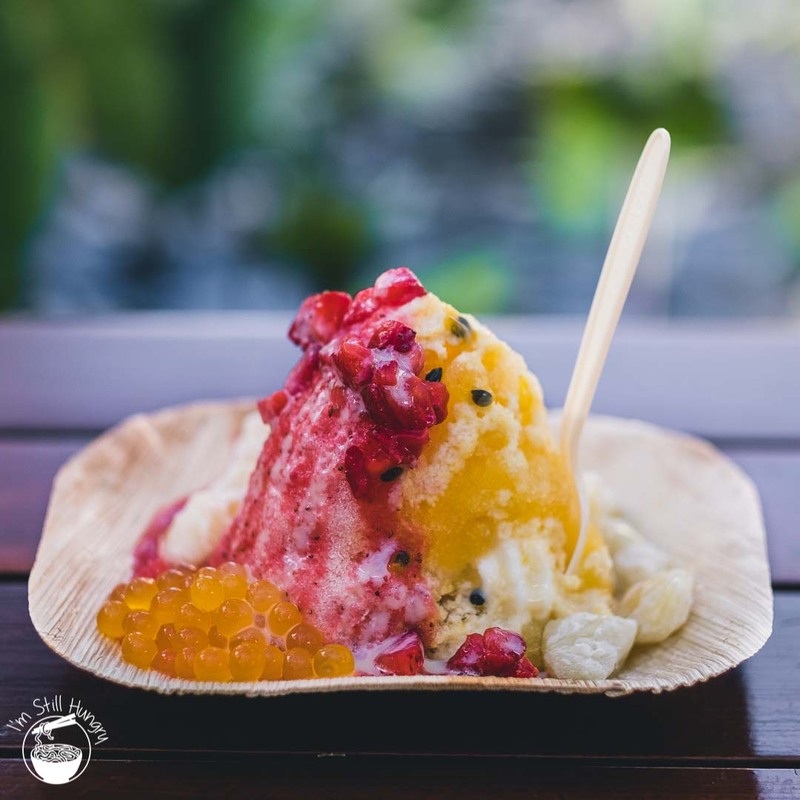 Best shaved ice on the trip, period. 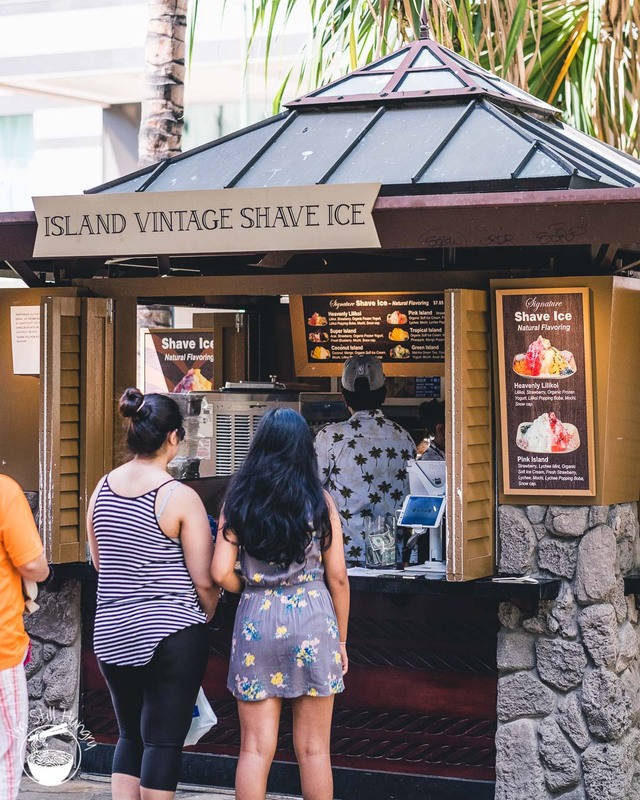 Shaved ice at Island Vintage Shave Ice. 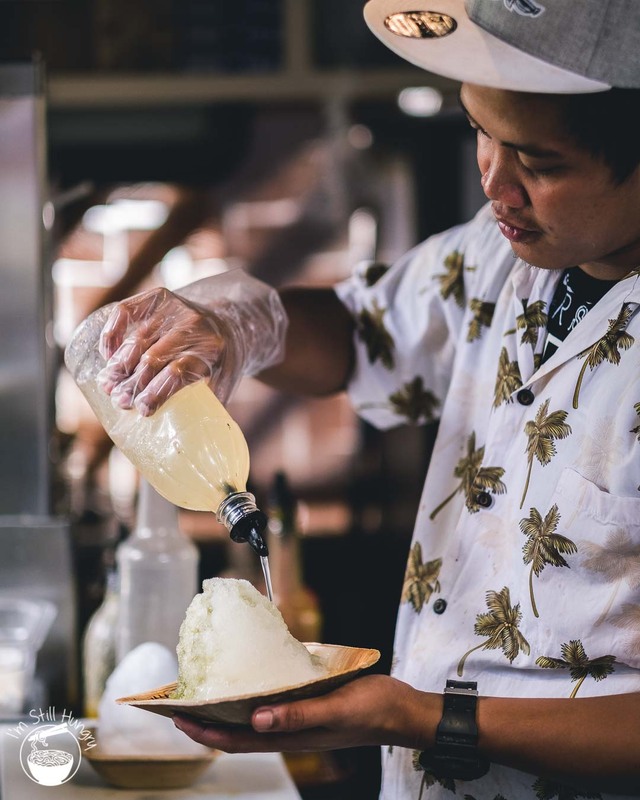 In all seriousness, it was the best because the syrups penetrate the ice the most consistently, and the ice had the finest consistency of them all. Toppings were also really nice! I’m don’t like long trips. The longer they get, the more effort they take to plan, and the more expensive they get. Two weeks in Hawaii seemed like plenty of time initially, and it’s usually around the fortnight mark that I begin to miss home. 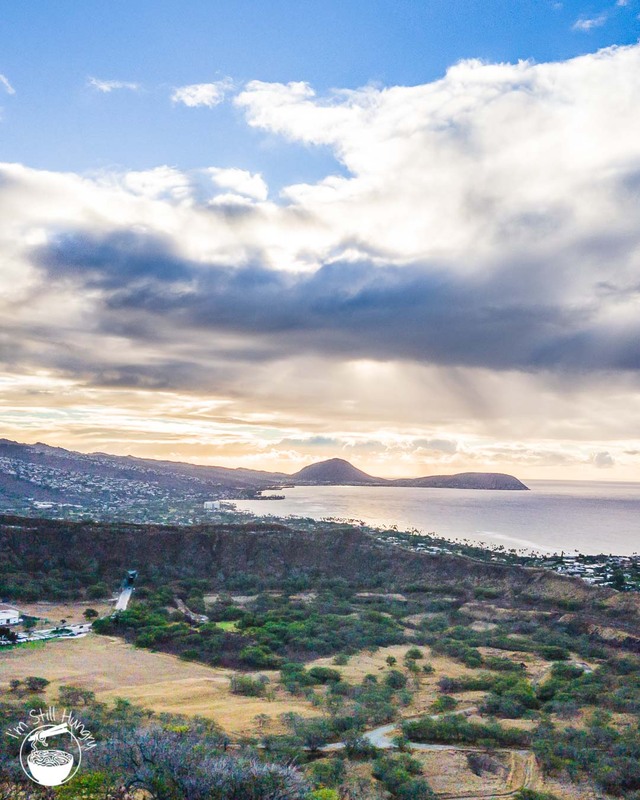 This is why we originally only allocated 3 days in Oahu. I must say, it was a small regret. There was so much more I wanted to see, so much more to eat. But then again, isn’t that what I always say when we have an amazing trip? Guess history truly does repeat. 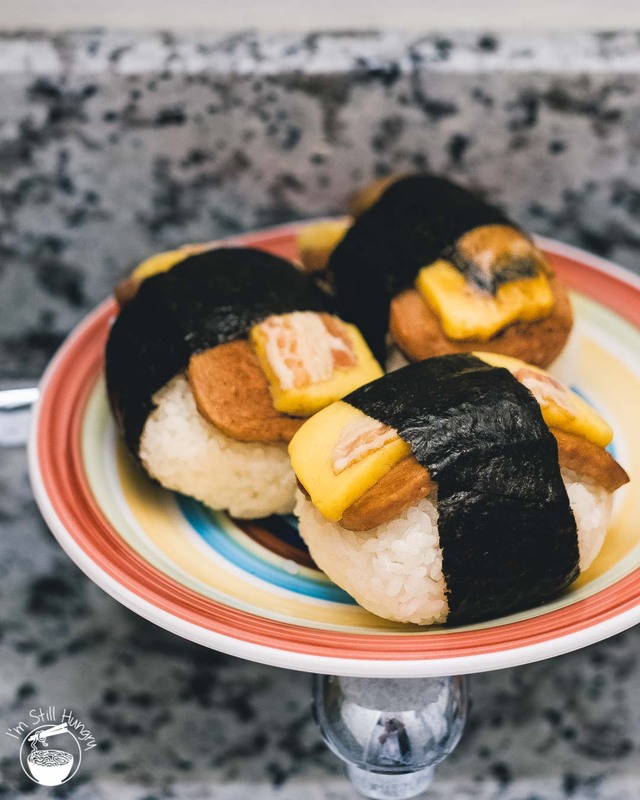 Last but not least don’t forget a spam musubi! Not that I would have it any other way. 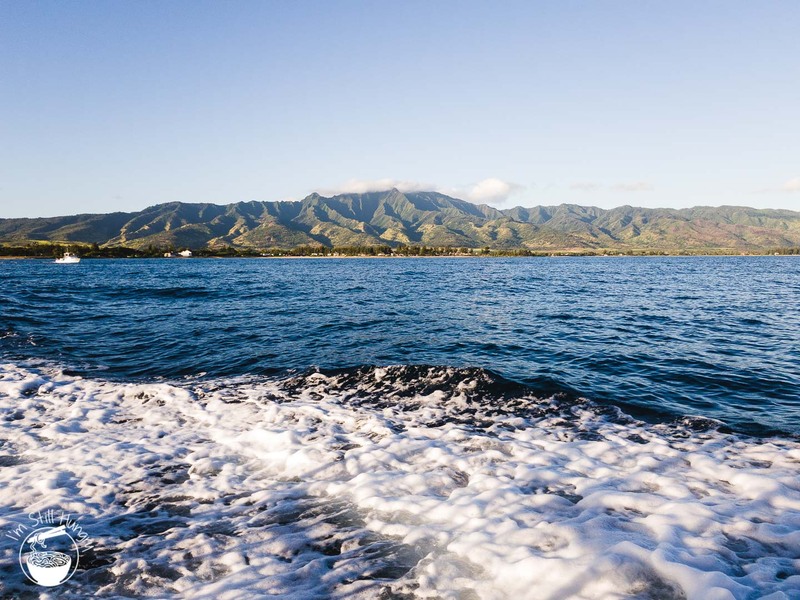 Till the next one – Aloha!